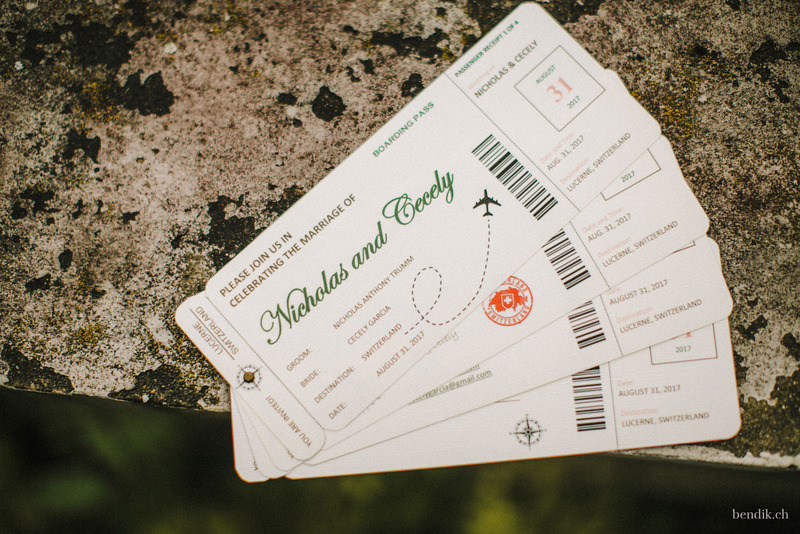 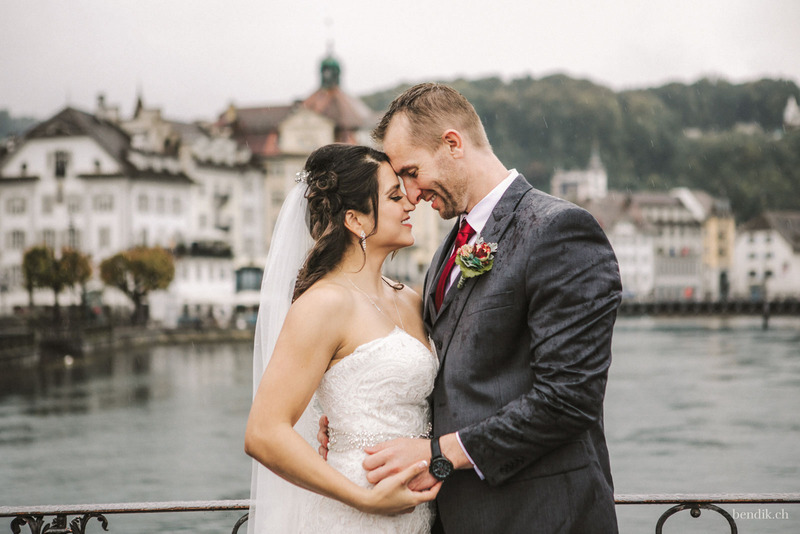 This autumn, I had the great pleasure to welcome yet another American couple in Switzerland with their Destination Wedding. 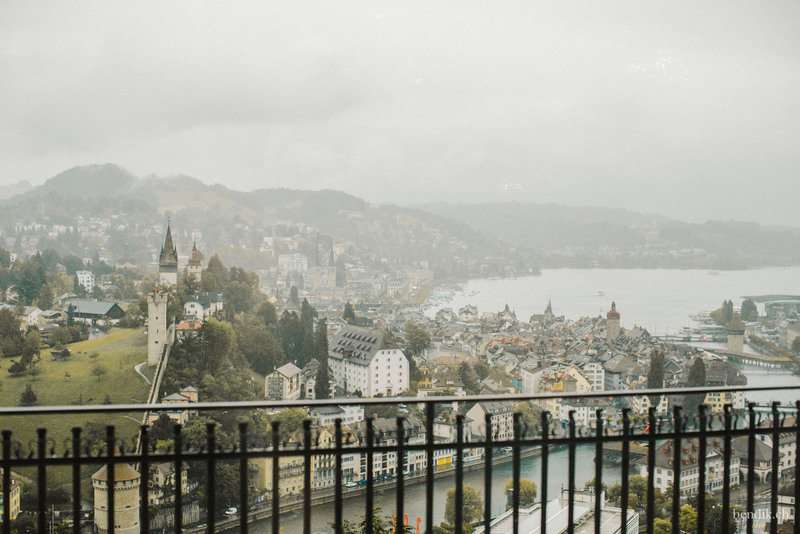 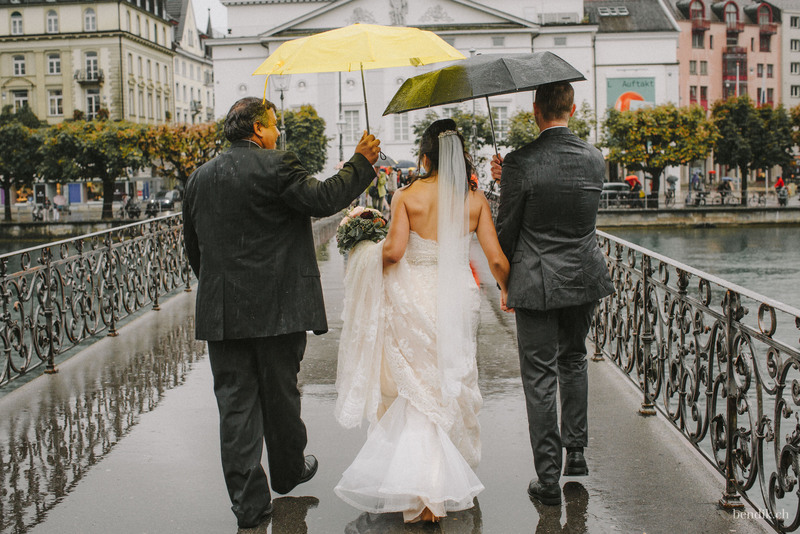 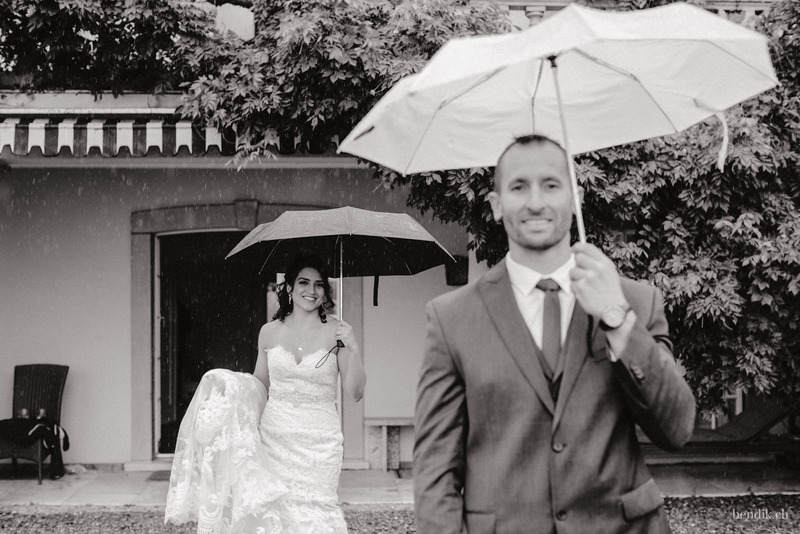 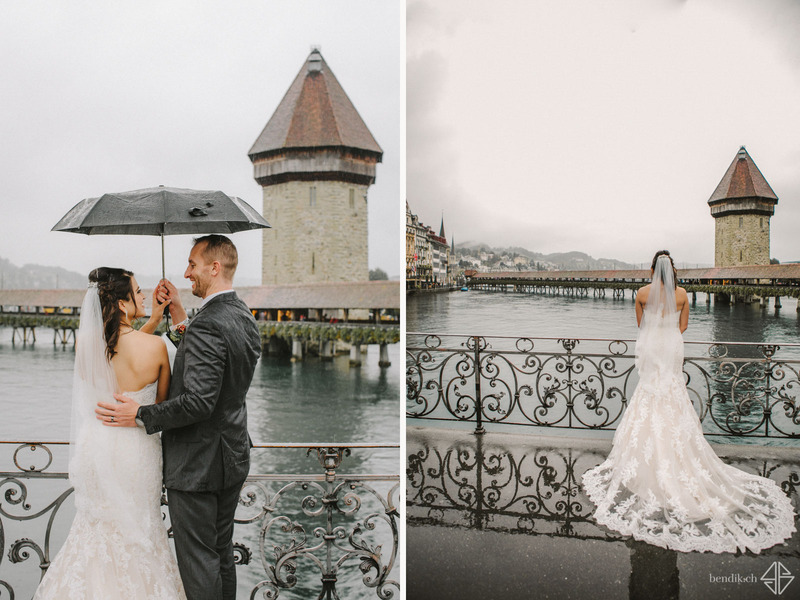 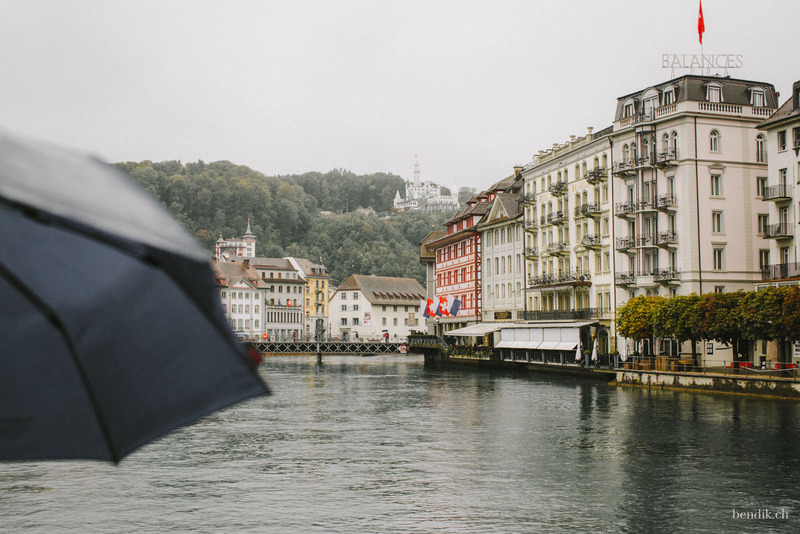 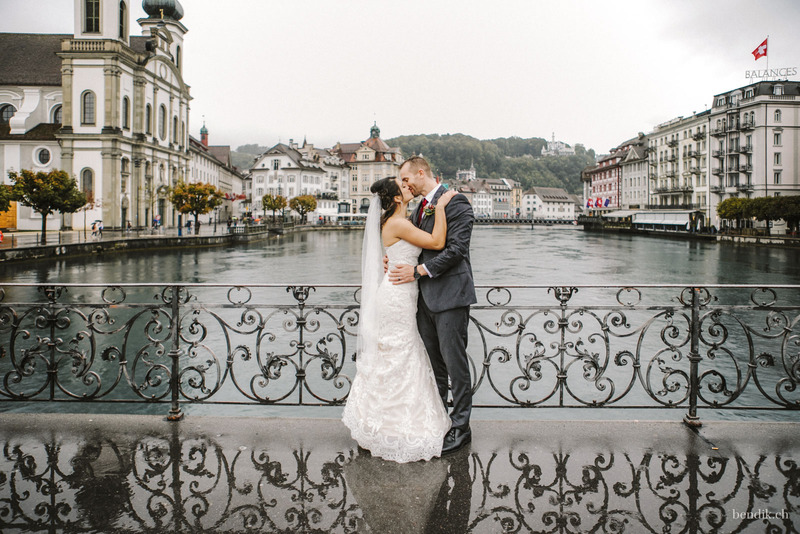 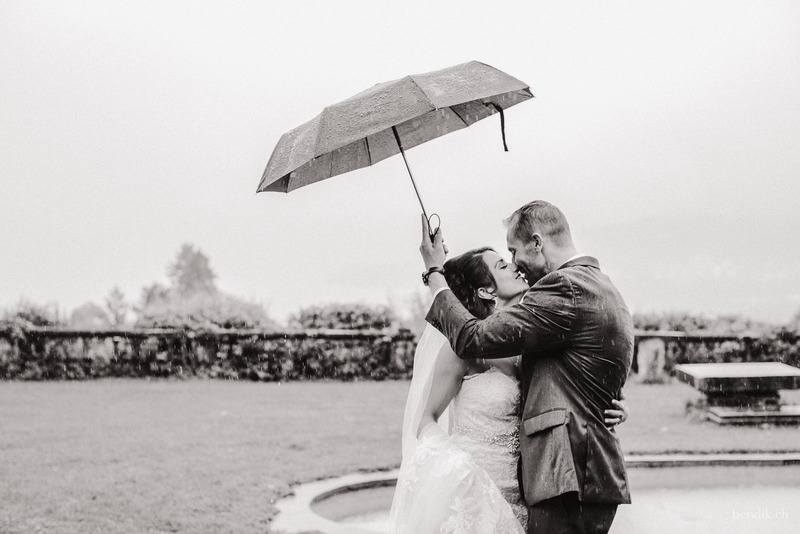 Cecely and Nicholas came from California with their family to celebrate their wedding in and around Lucerne. 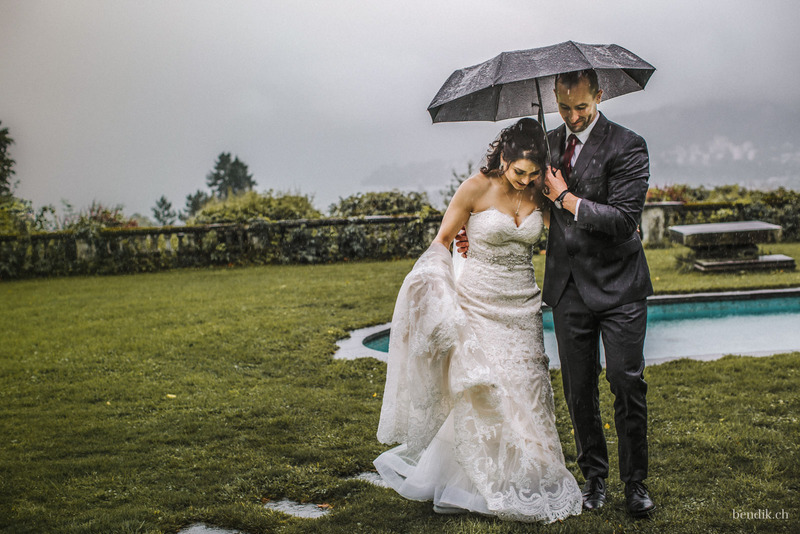 Unfortunately, the proverbial “golden autumn” did not present itself to us on that day. 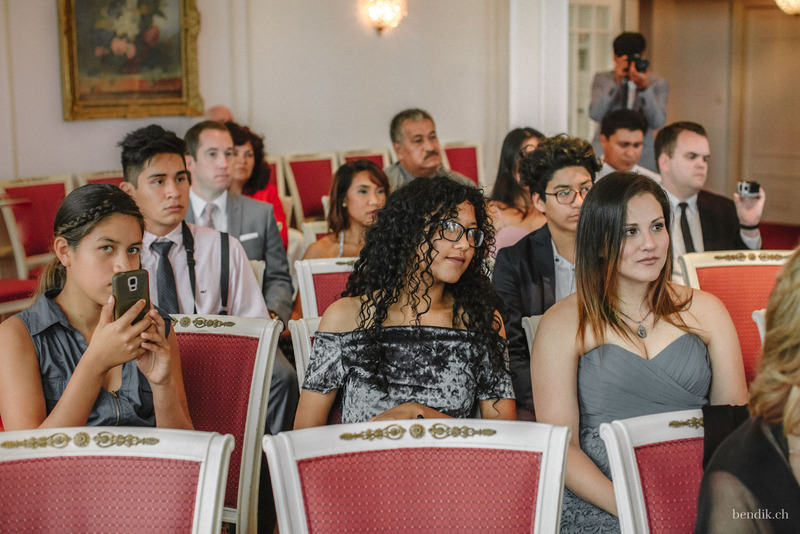 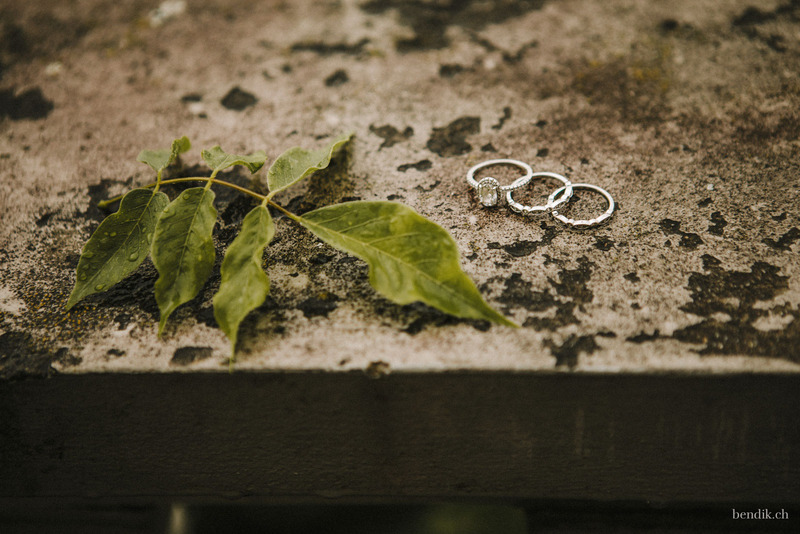 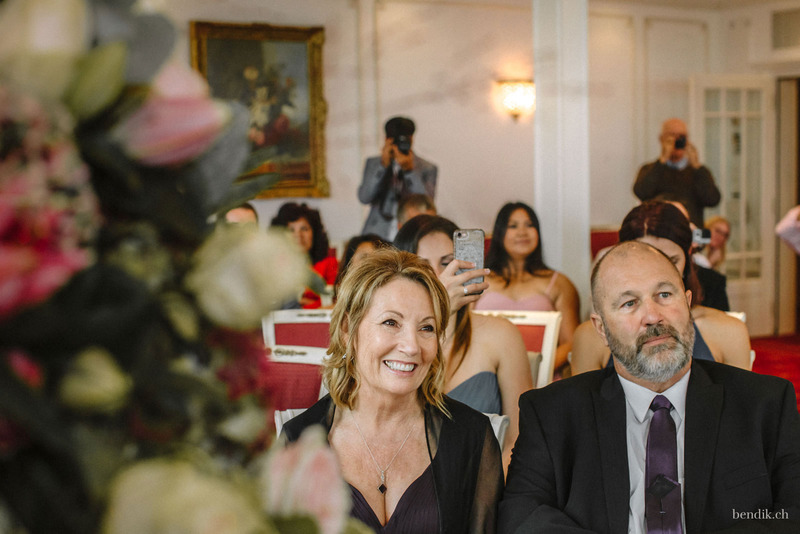 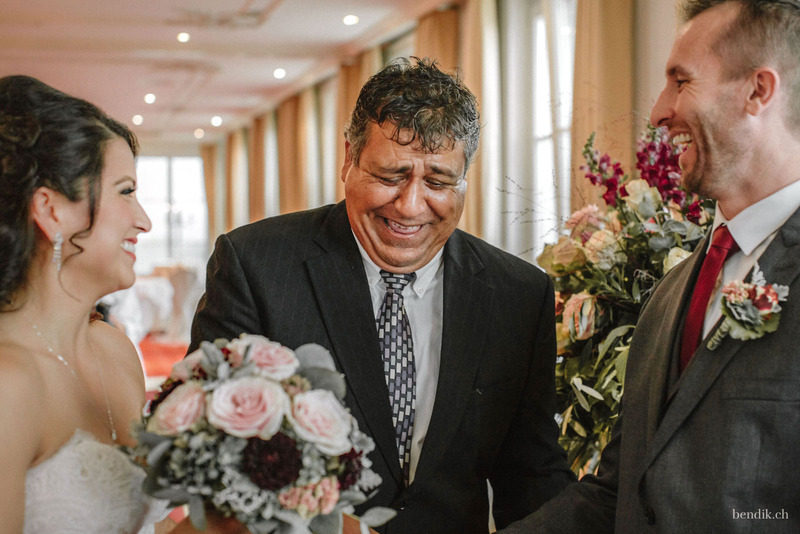 Luckily, the wedding party was not interested in such minor details, but rather seemed to savior each and every emotional moment that happened on this day. 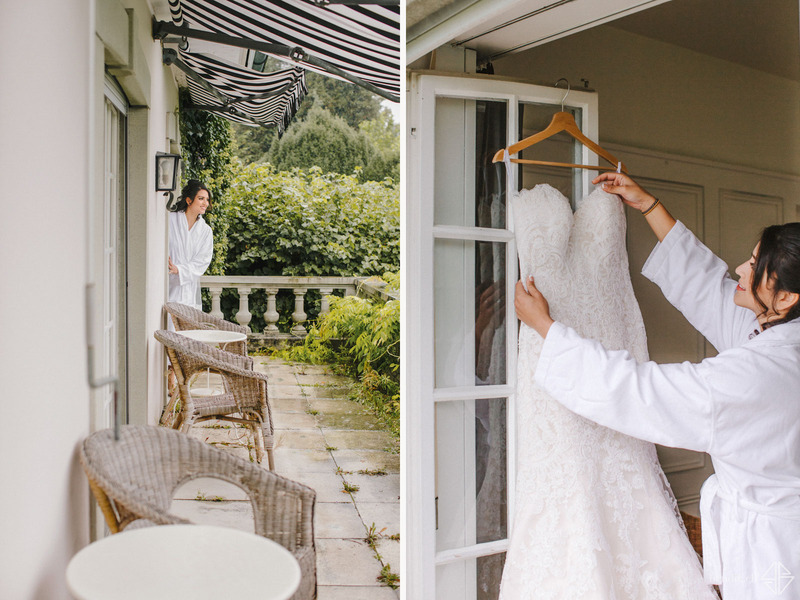 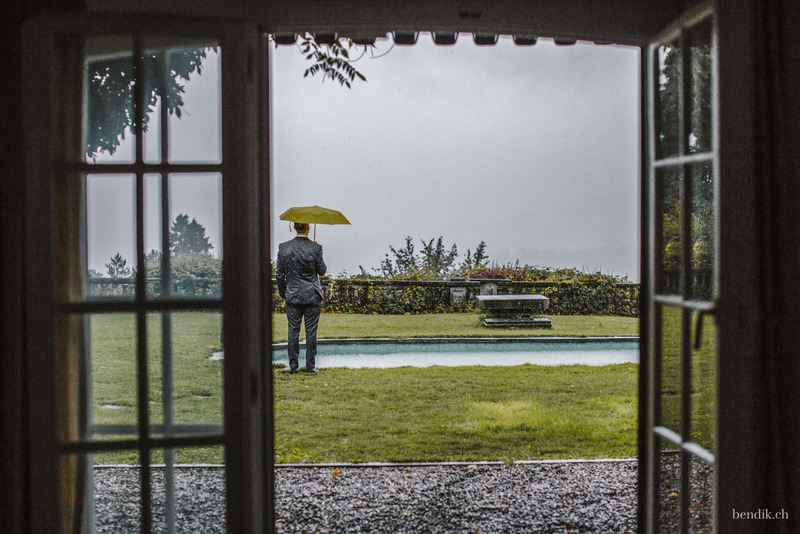 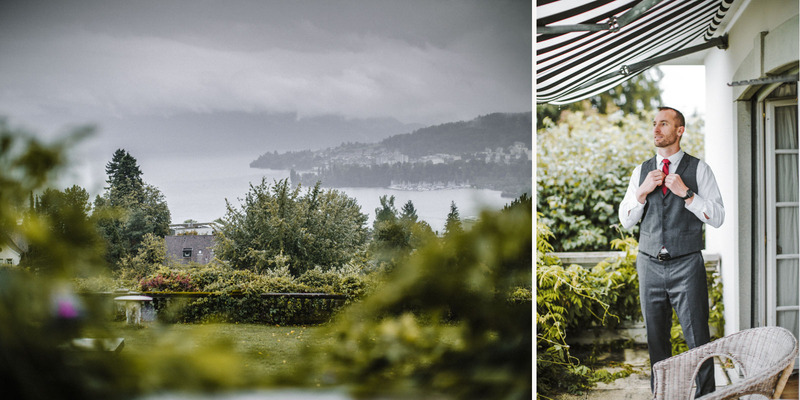 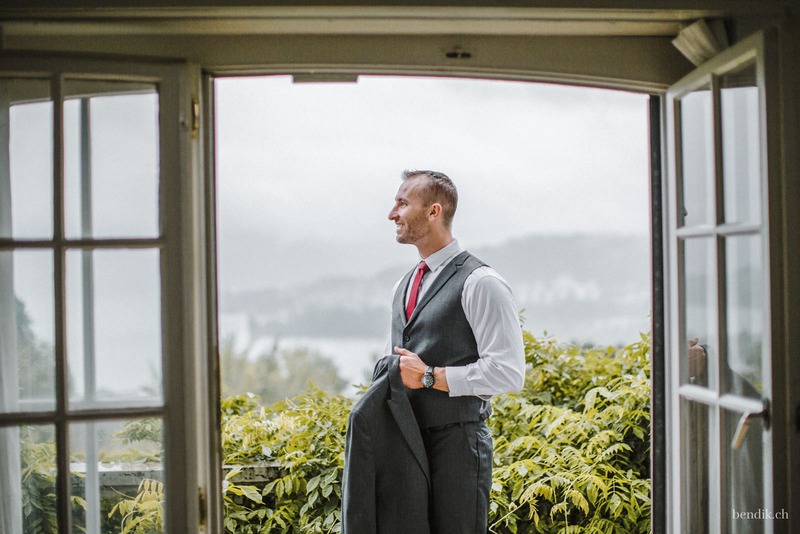 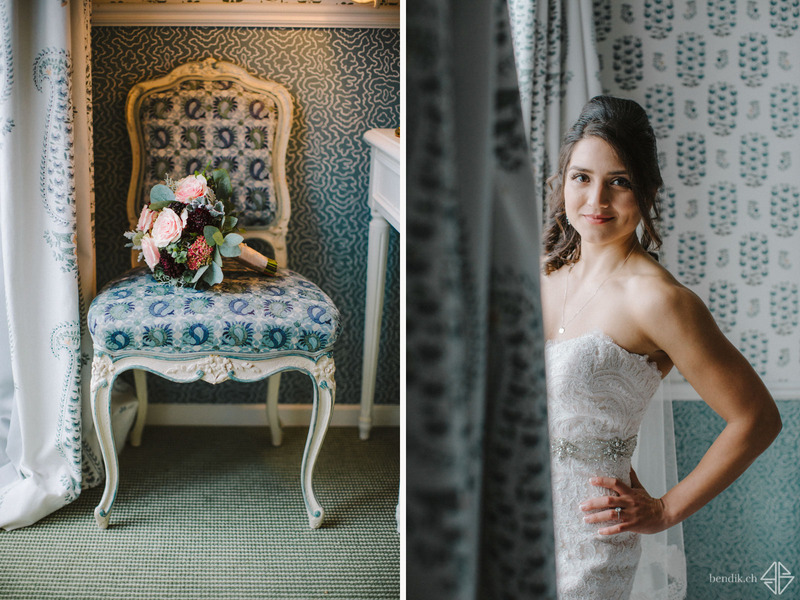 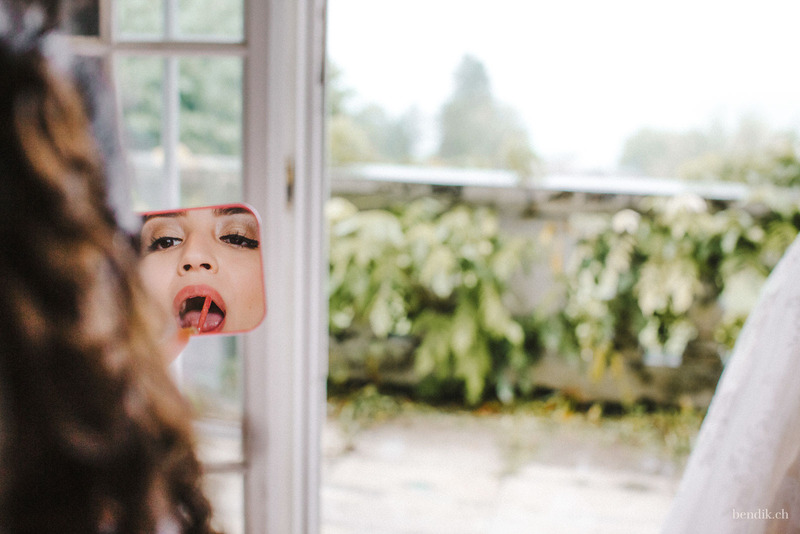 Cecely’s wedding preparation took place in Villa Griswolden, a charming, bright villa of medium size, which offered a fantastic view to the nearby Pilatus mountain and Lake Lucerne, which we unfortunately could not really enjoy as the weather did not permit. 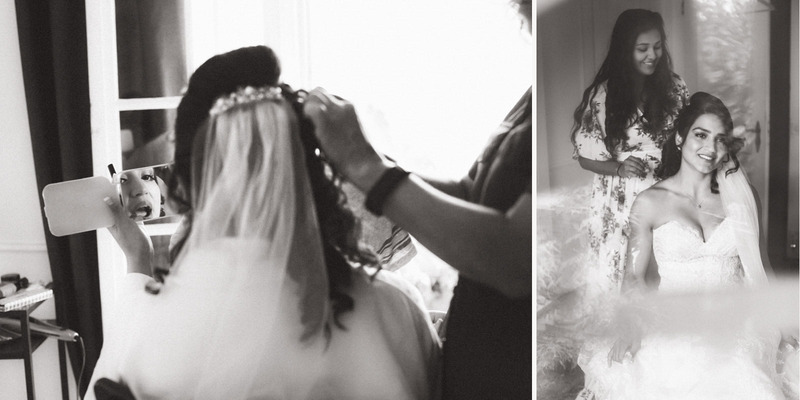 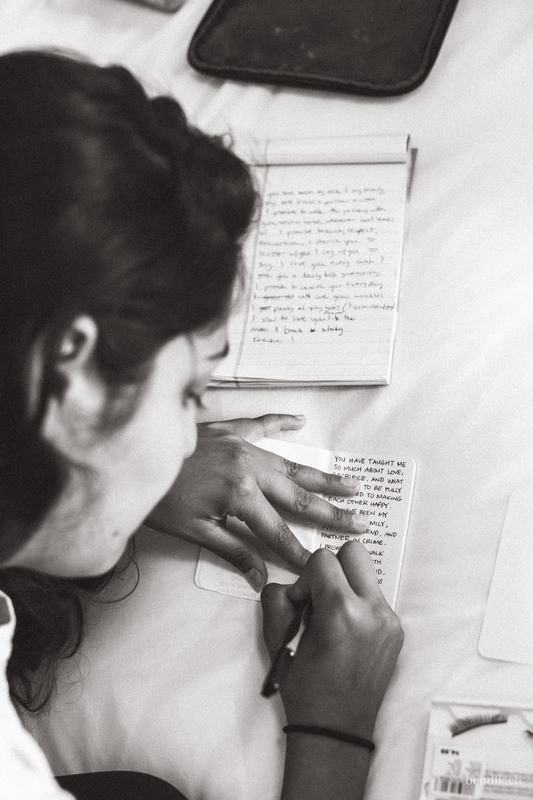 Cecely’s preparation was already in full swing as we crept cautiously into the mansion at the agreed time. 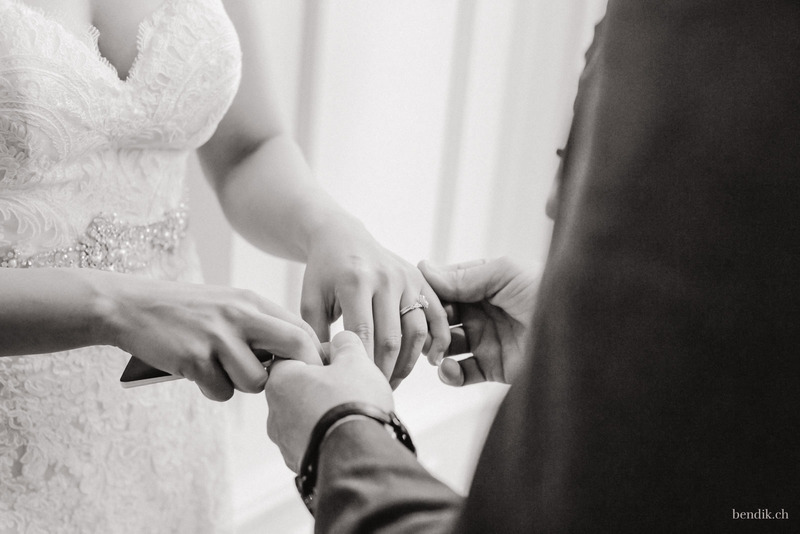 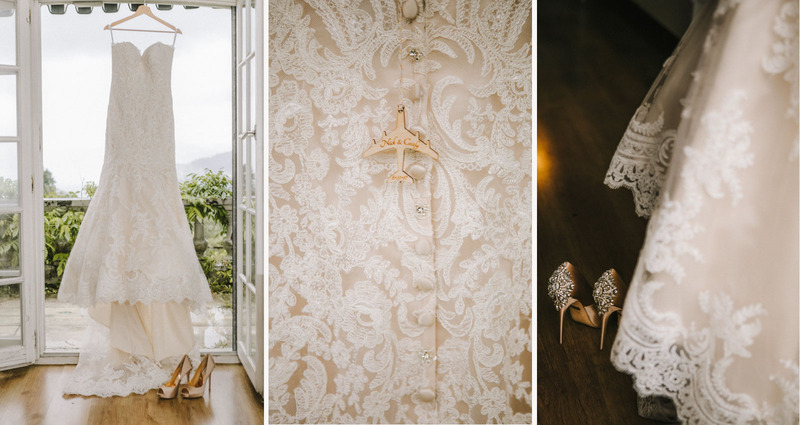 Ceceley had chosen really stylish things, from the bridal shoes of Badgley Mischka, her strapless dress (which was in great demand this season) to her belt. 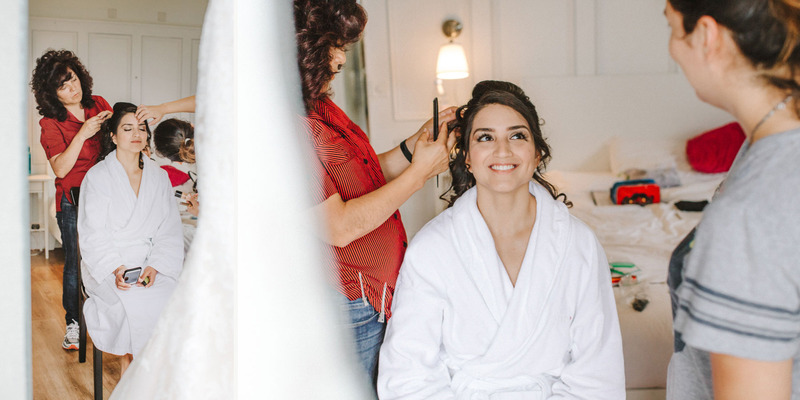 Cecely’s hair was prepared by her mother and sister so that the family could stay together in this very emotional phase of the preparation. 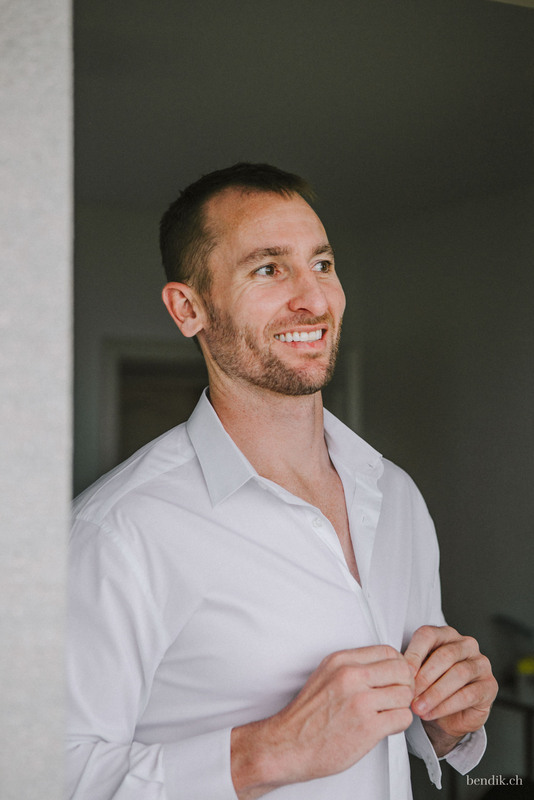 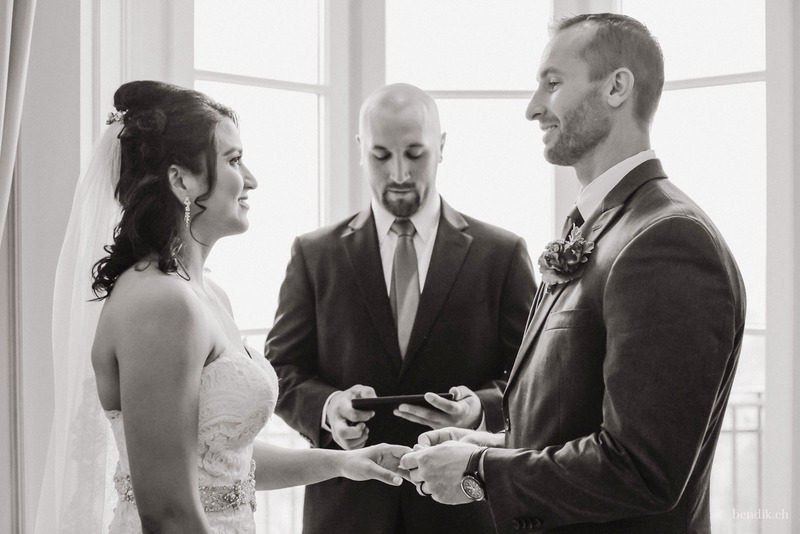 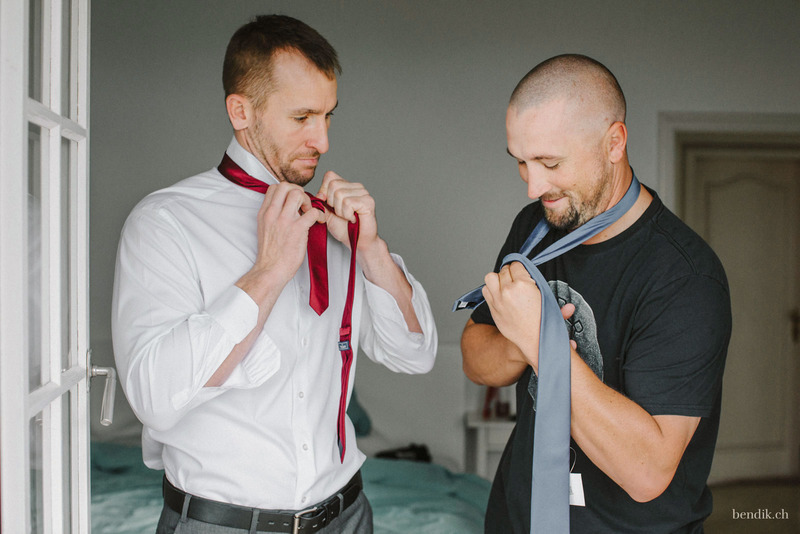 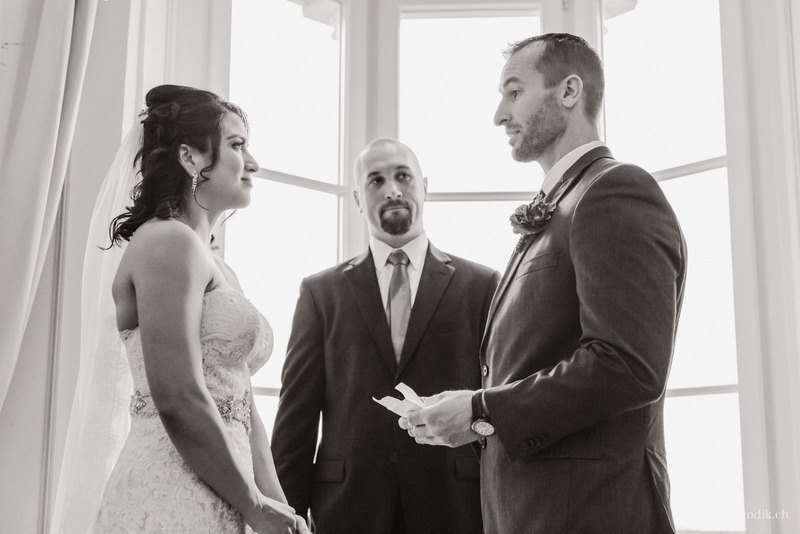 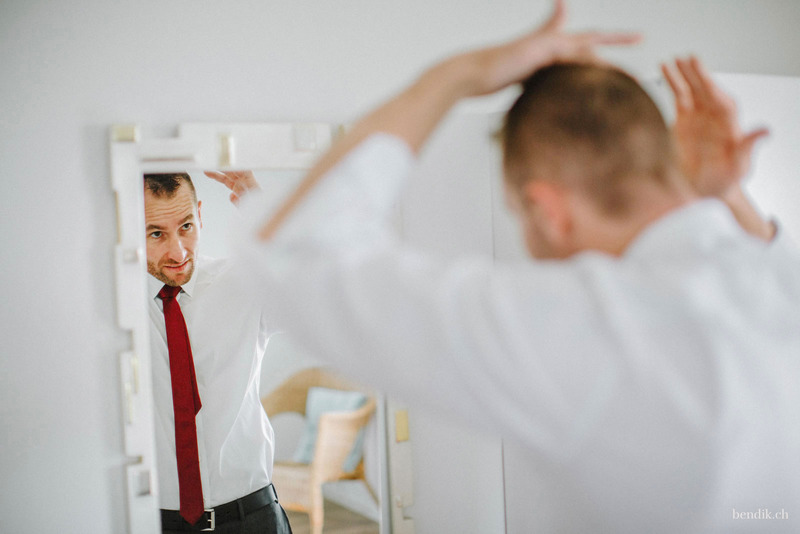 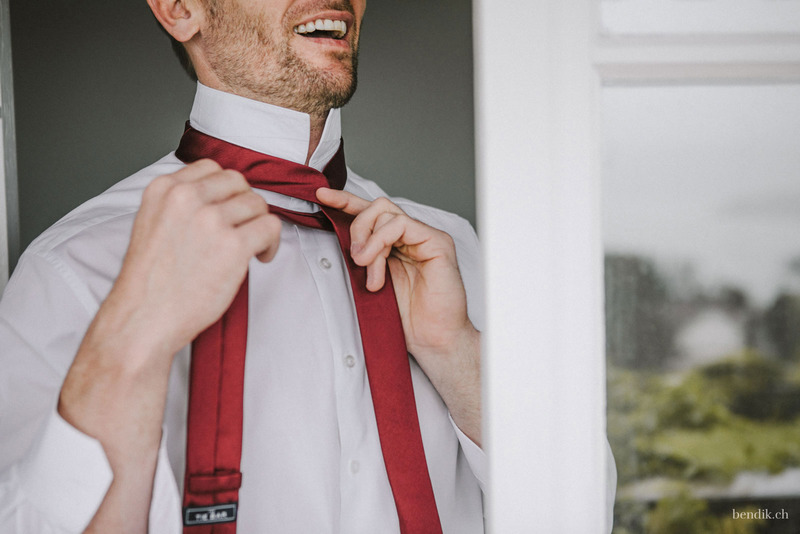 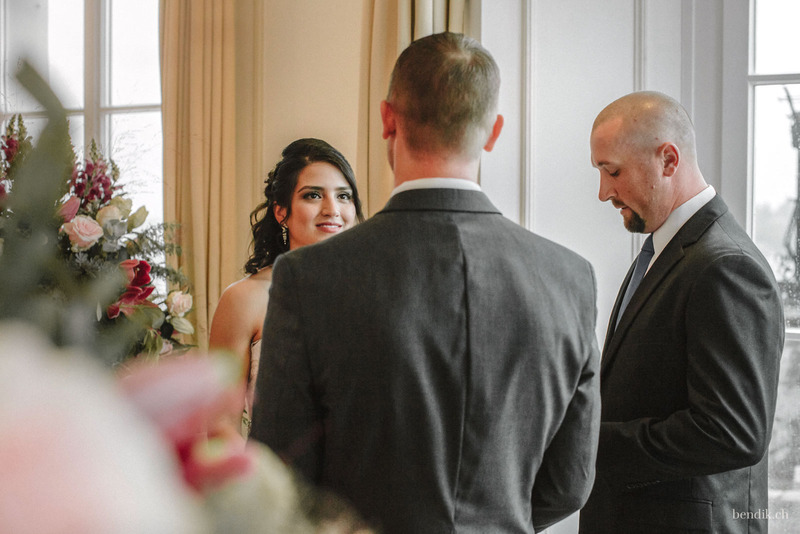 Nicholas was also supported by his family, especially by his brother, who helped him during the getting ready as well as later on during the ceremony as a ceremony master. 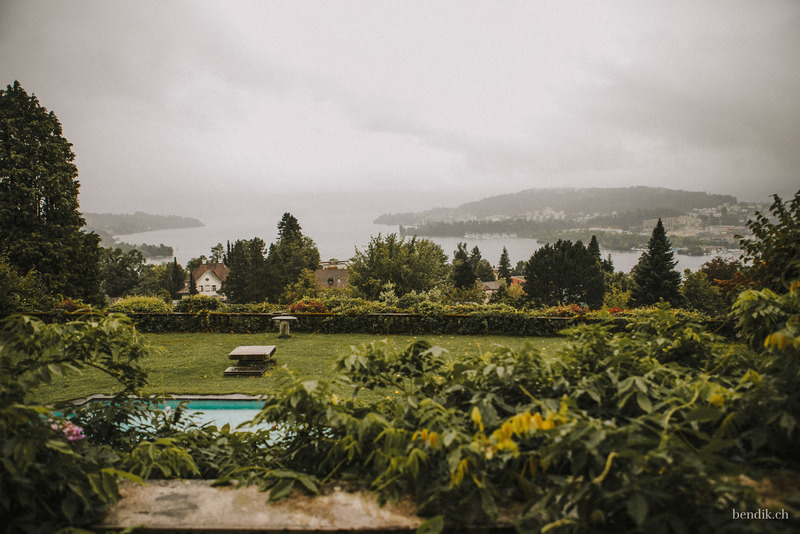 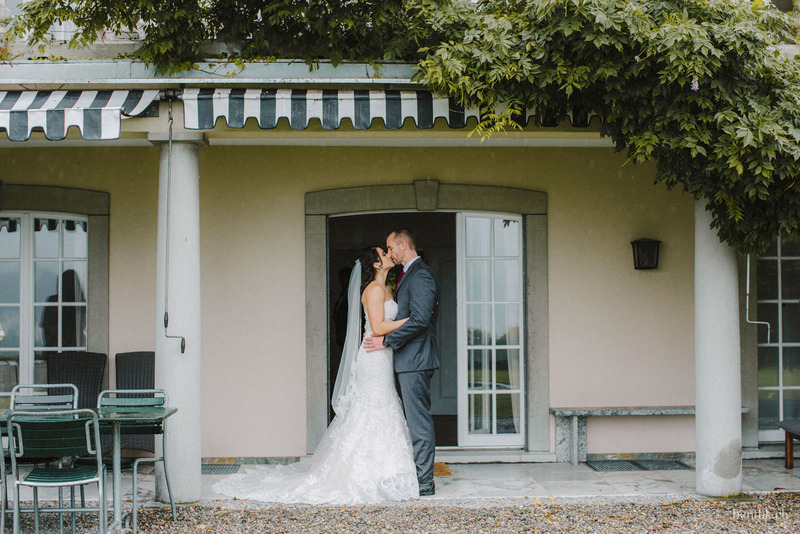 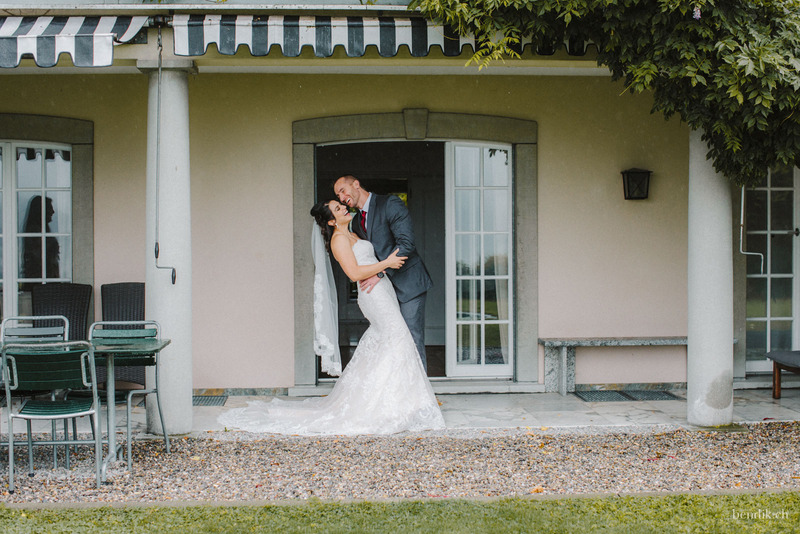 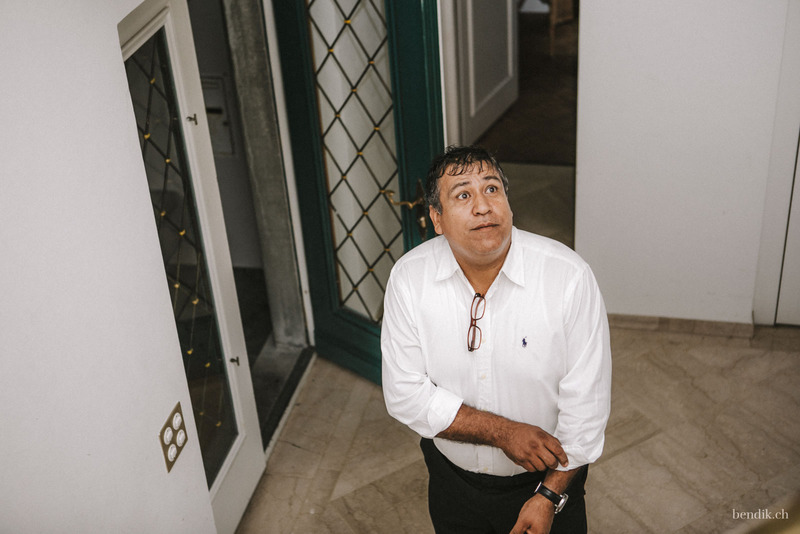 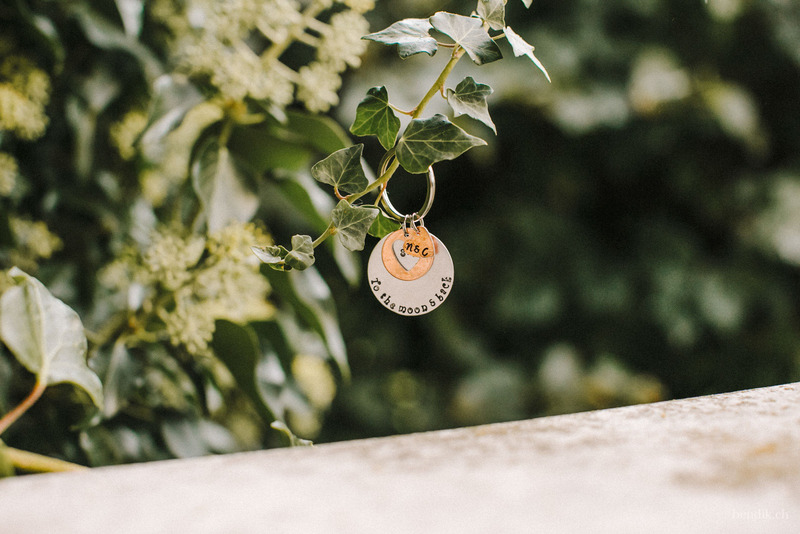 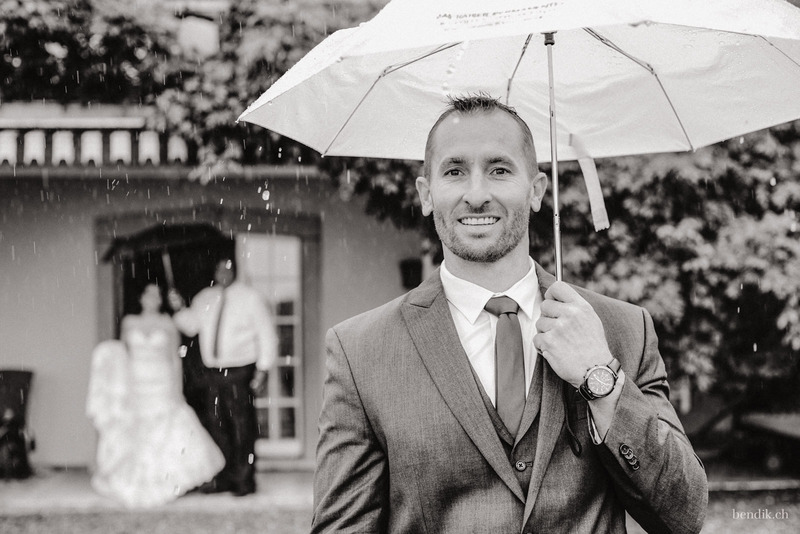 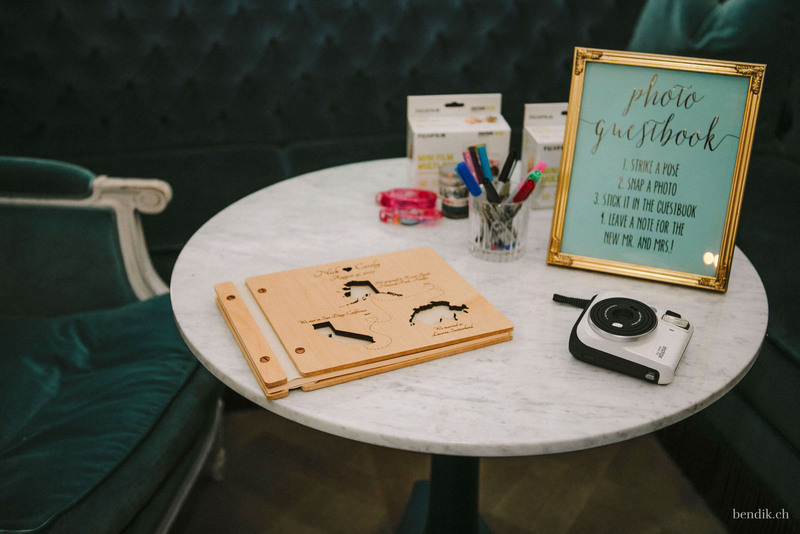 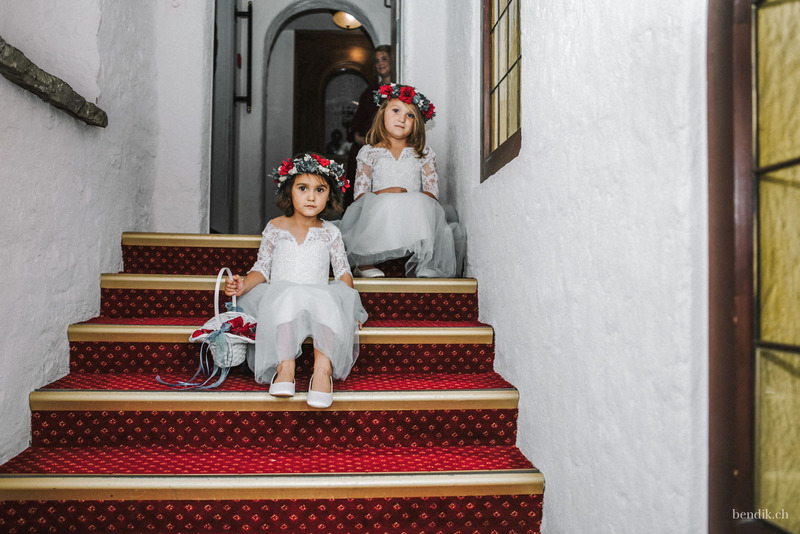 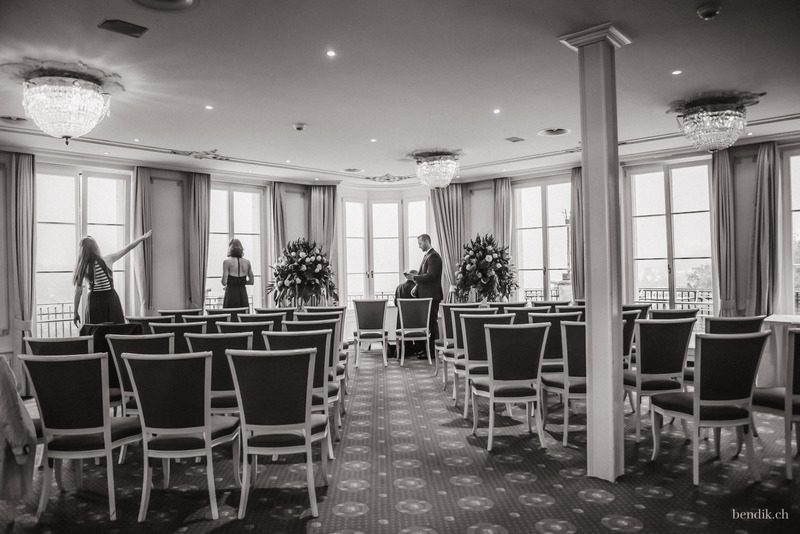 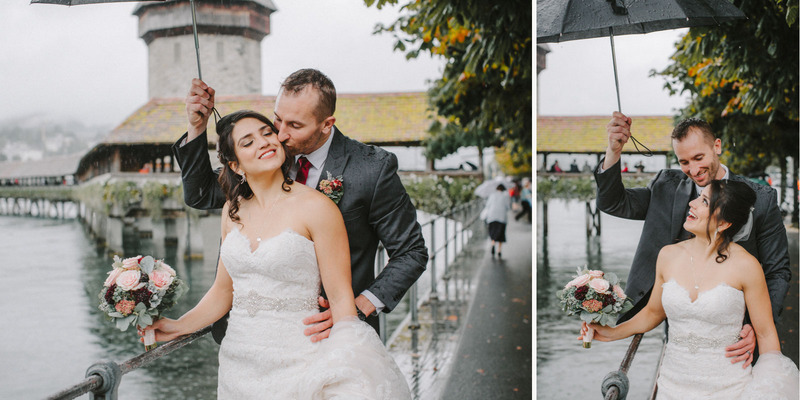 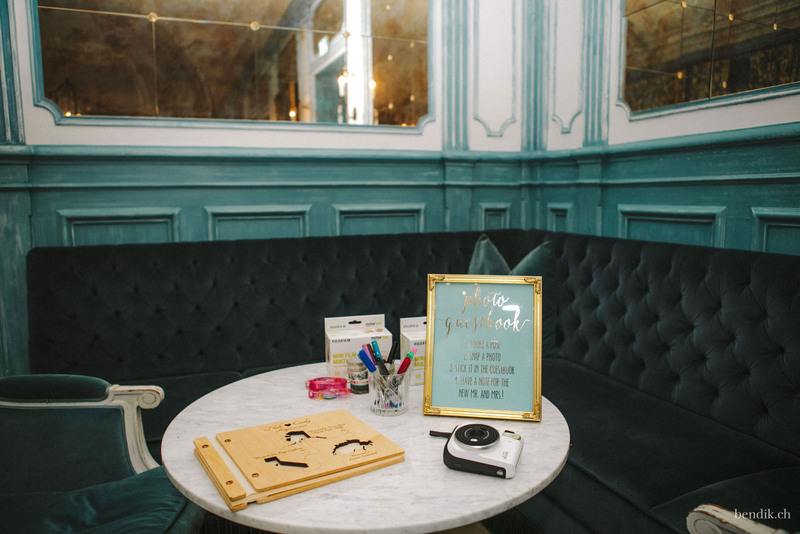 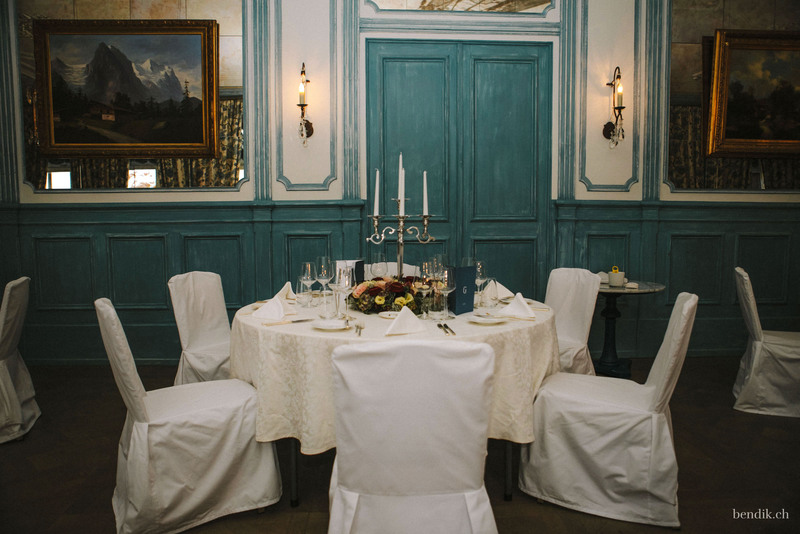 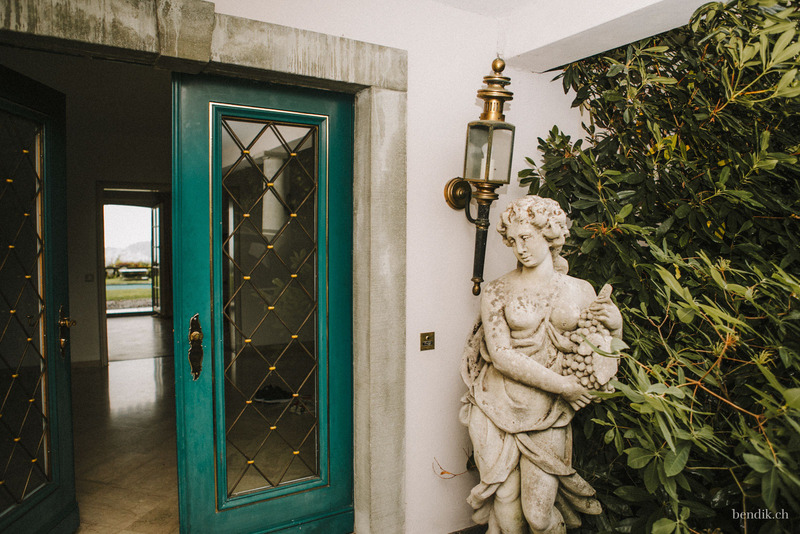 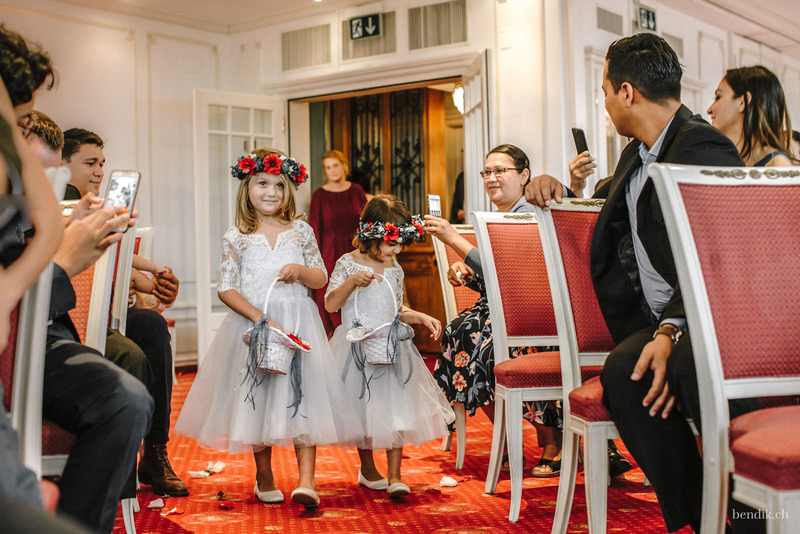 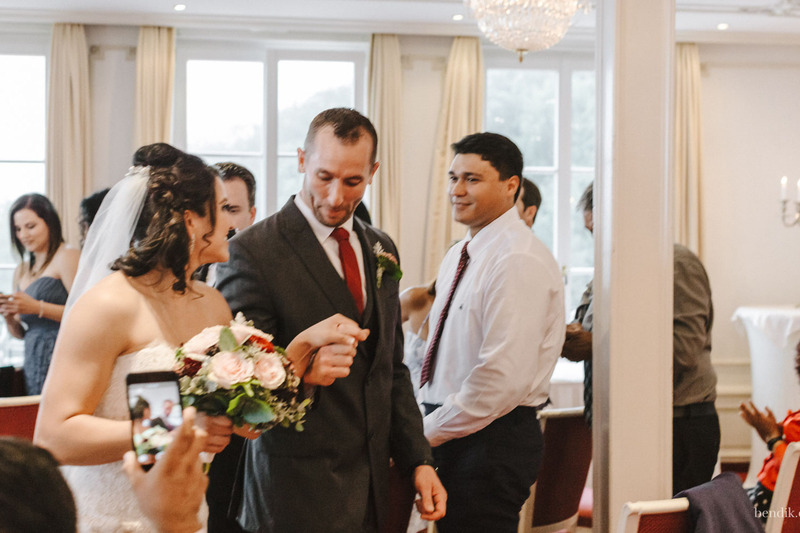 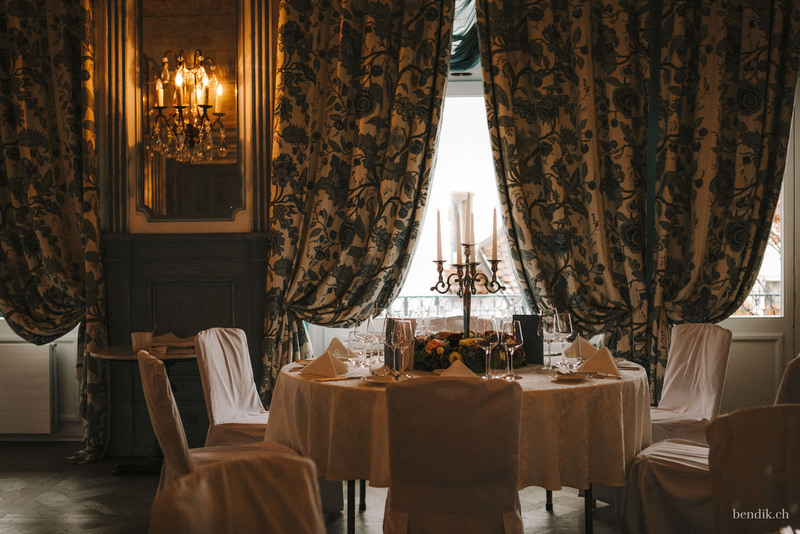 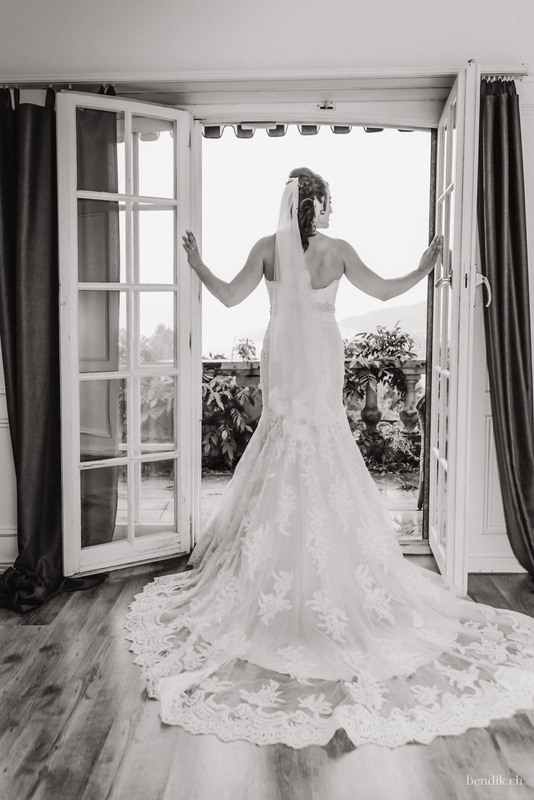 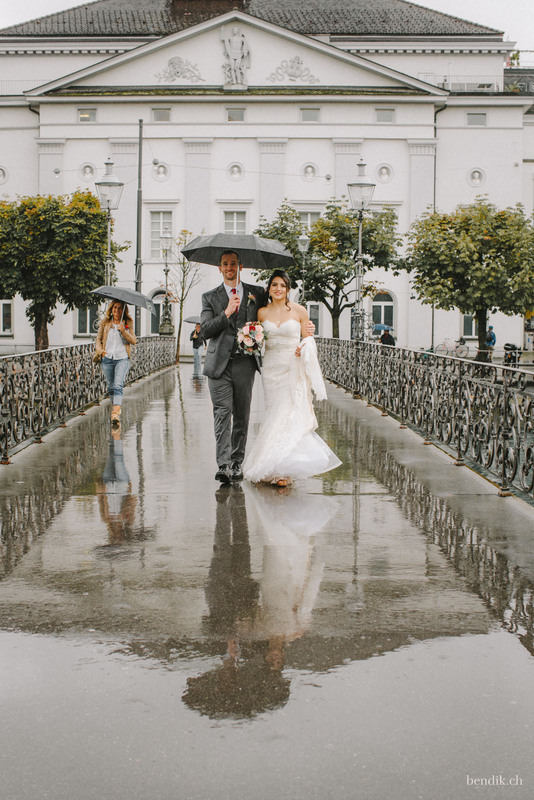 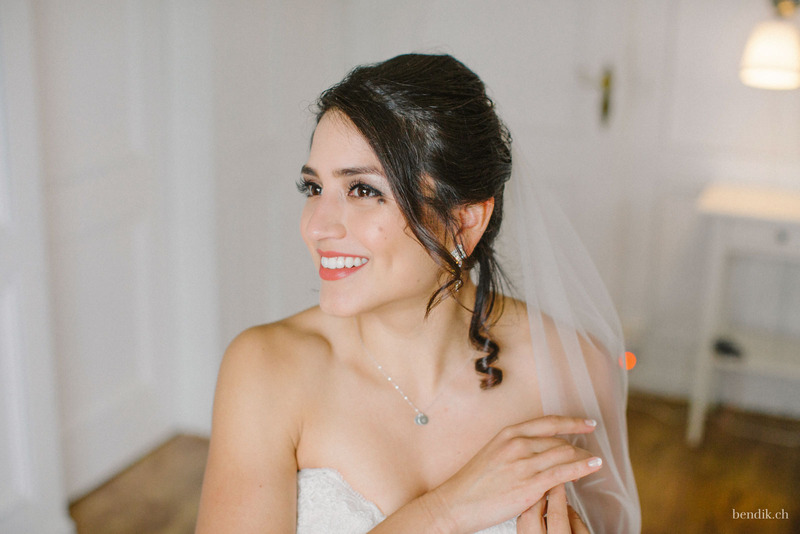 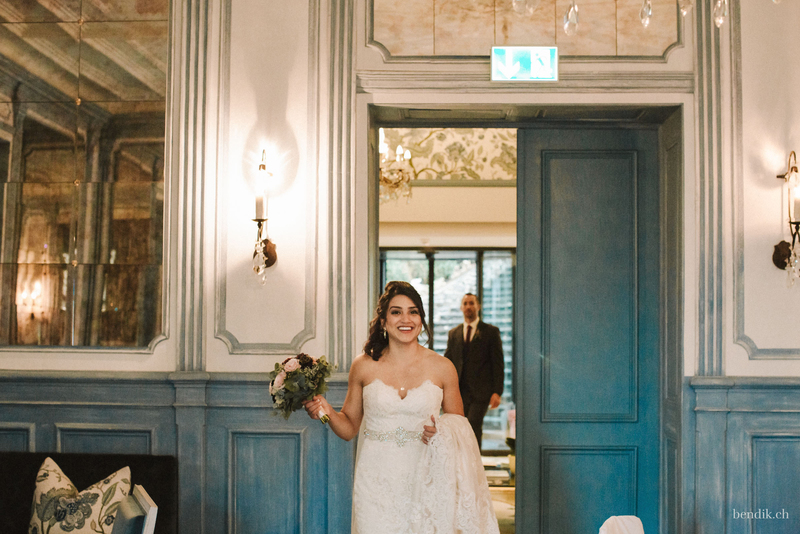 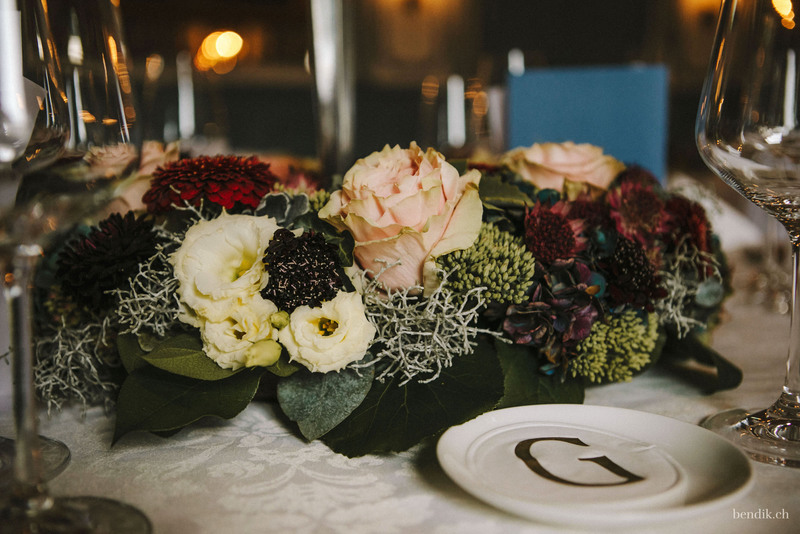 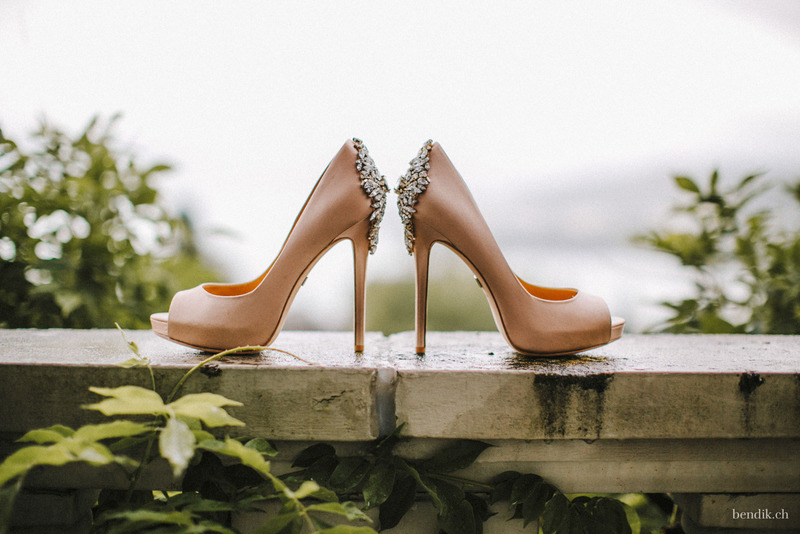 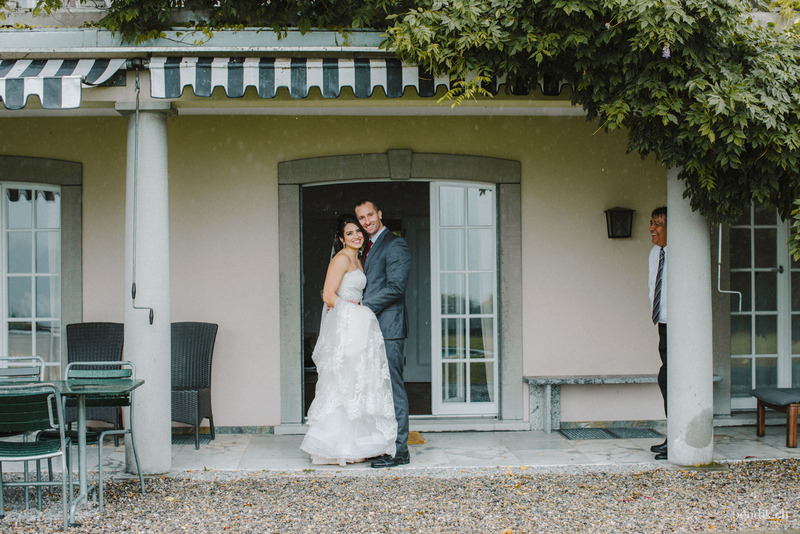 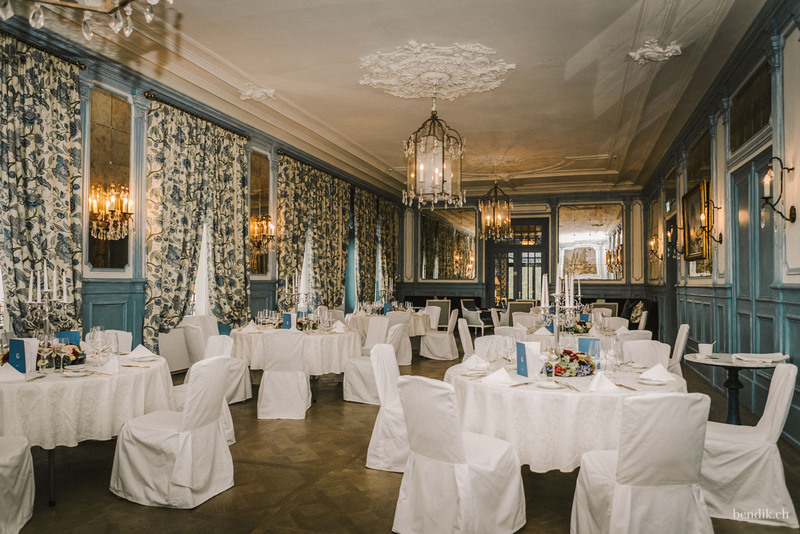 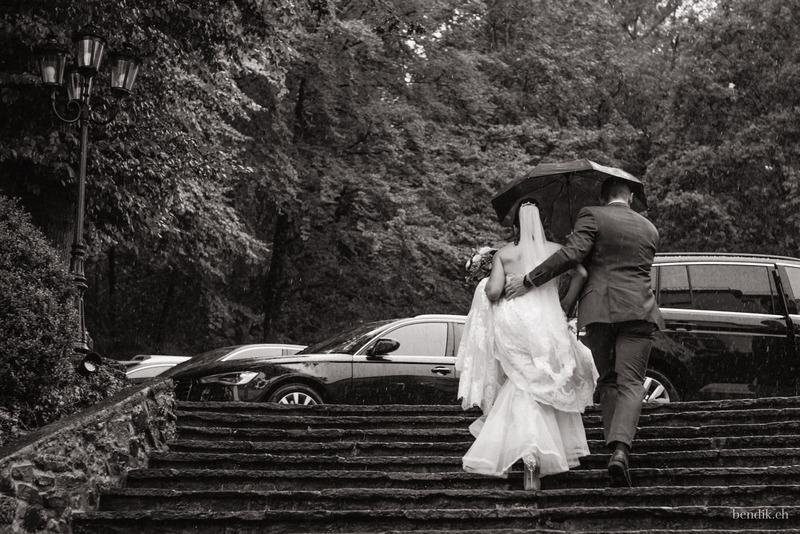 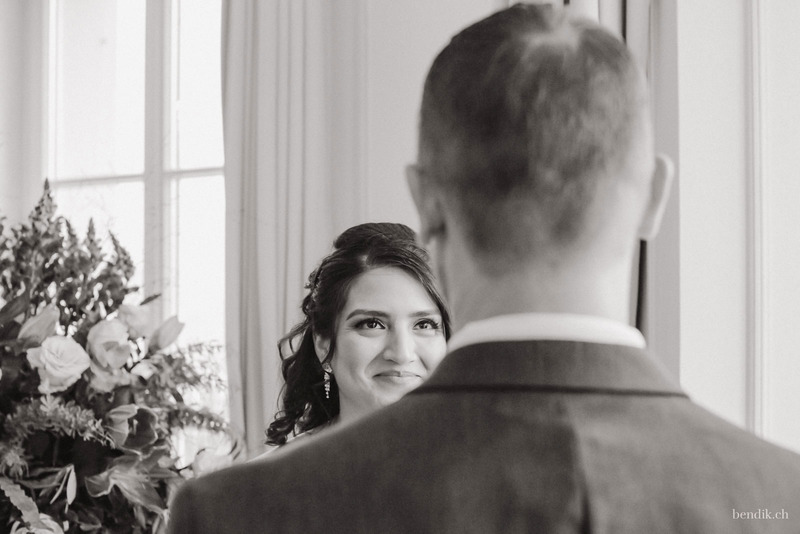 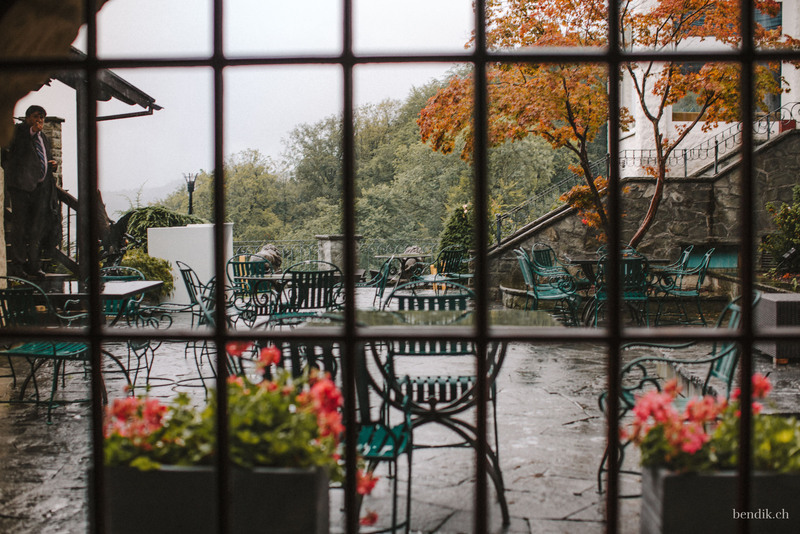 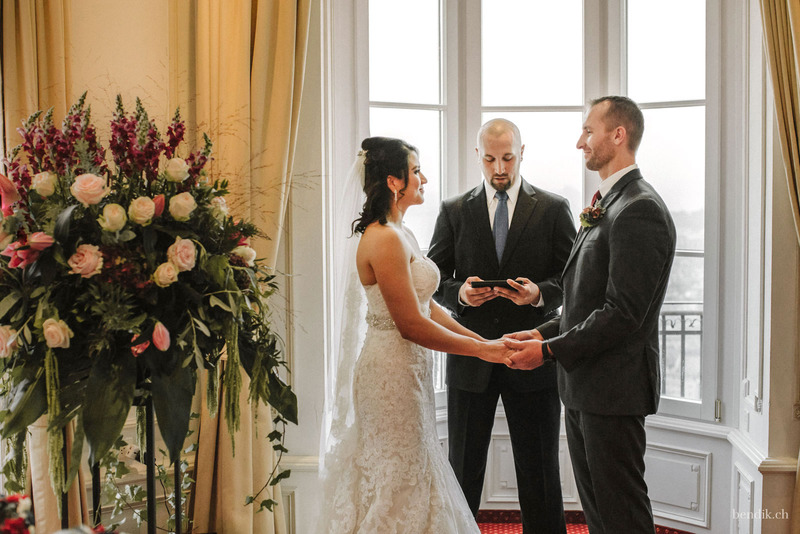 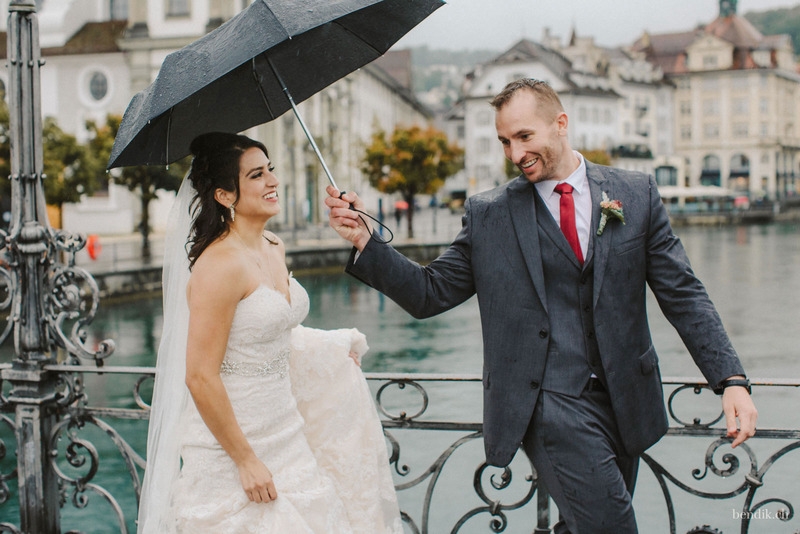 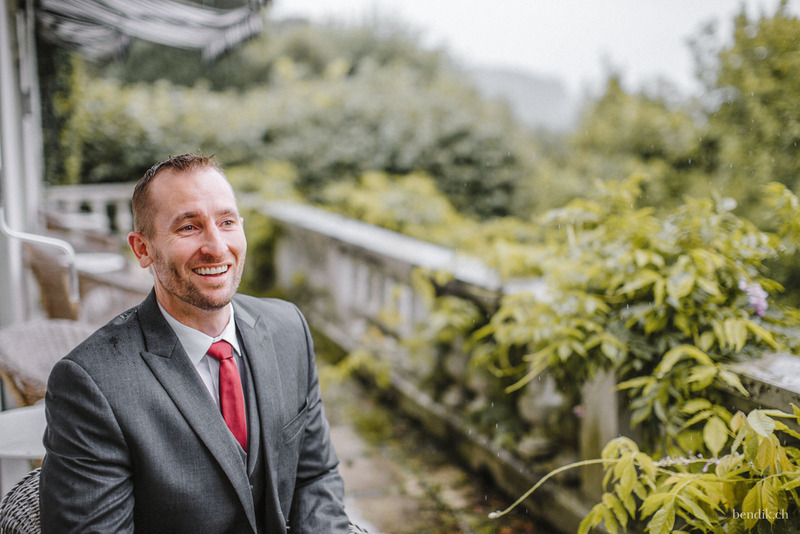 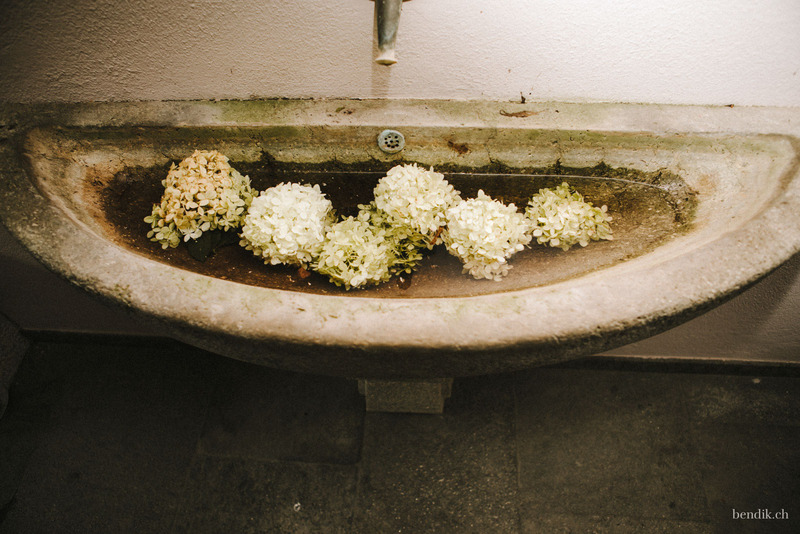 The wedding itself took place in the hotel and restaurant Château Gütsch, which, like a castle out of a fairy tale, towers over the center of Lucerne and is a wonderful place to marry. 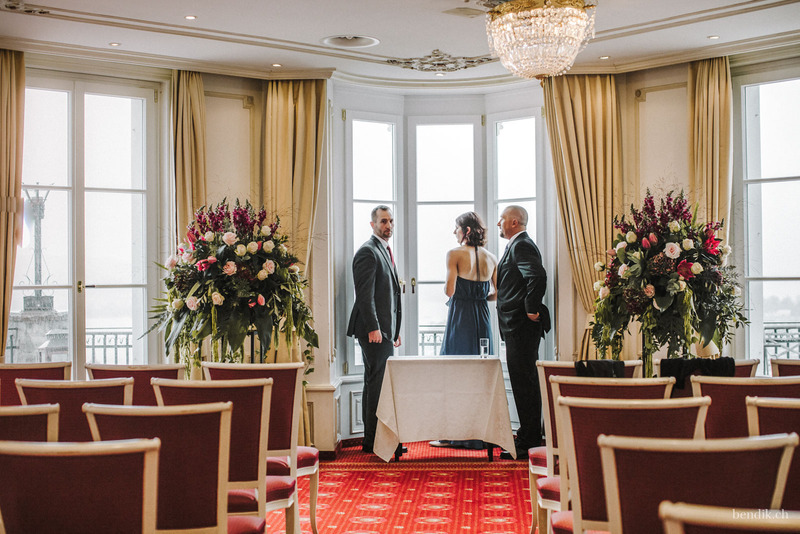 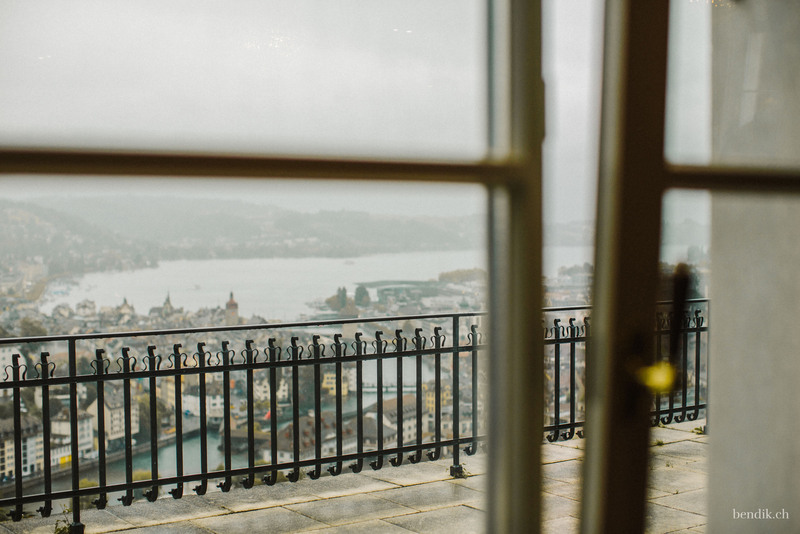 A tip from me at this point: please make sure that, if you are planning a ceremony in the Château Gütsch, the altar is either built in front of the view to Lucerne’s old town or against a neutral background. 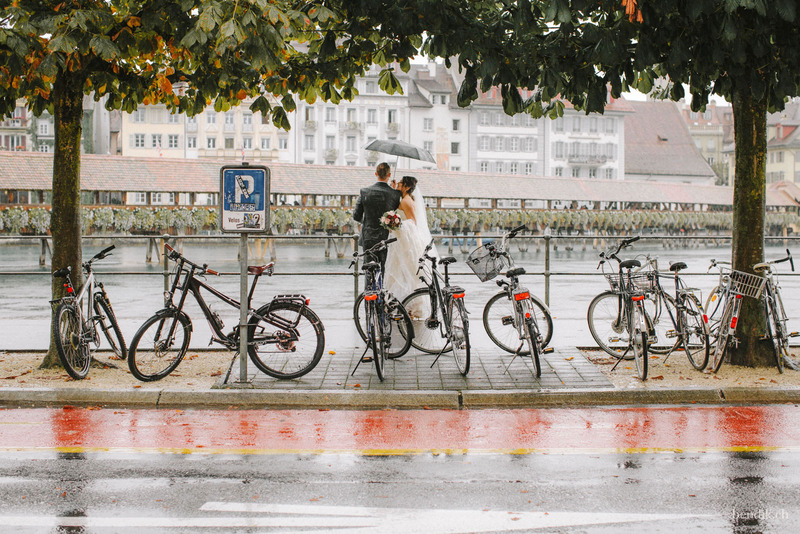 In this way, you can ensure that all the magic of this place and of you as a couple is best visible in your images. 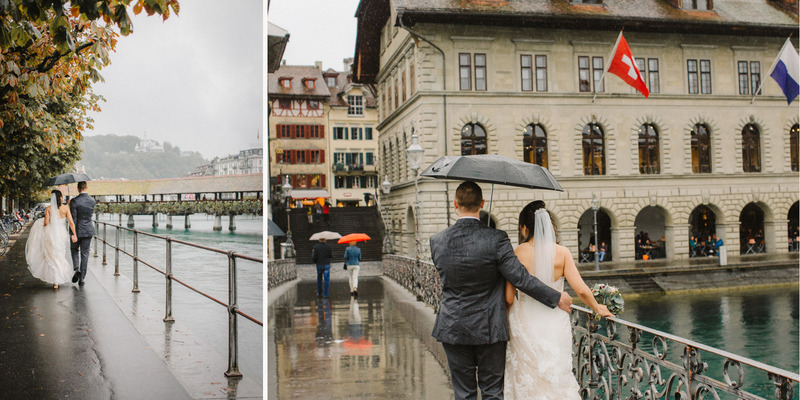 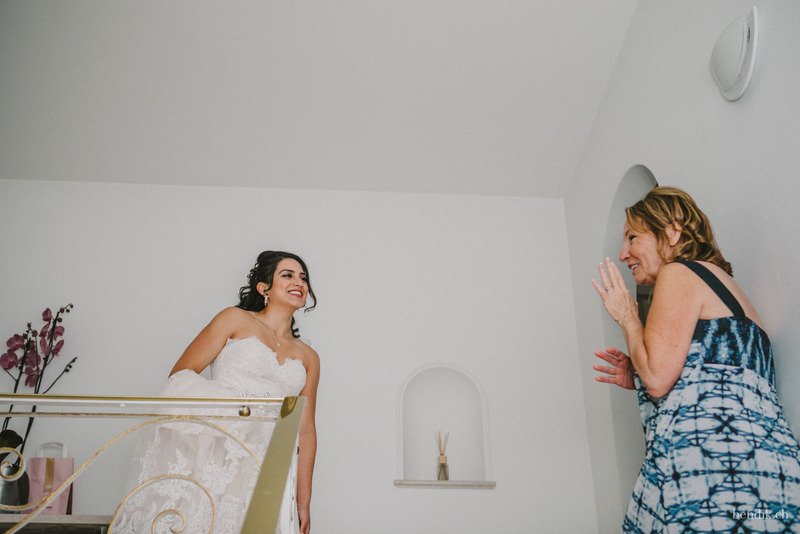 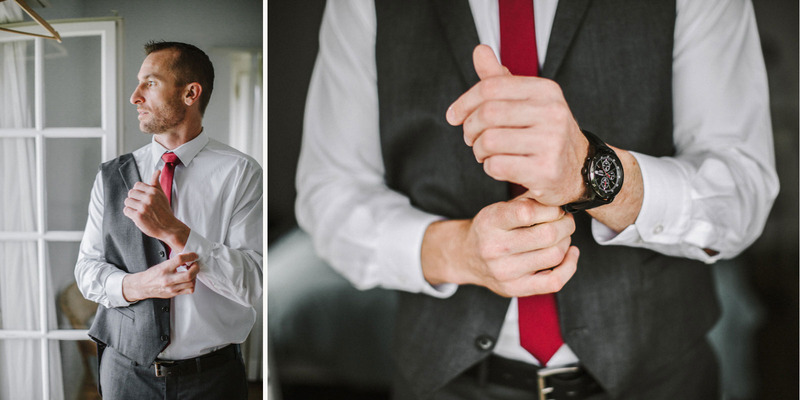 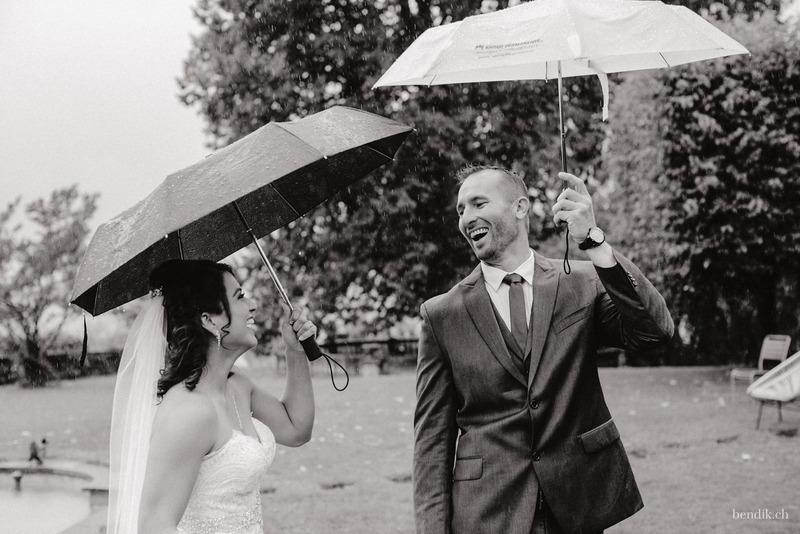 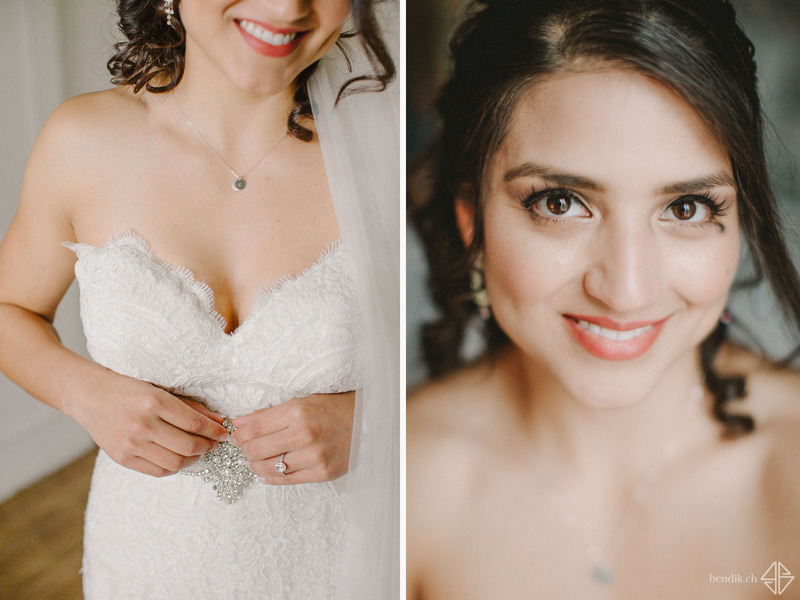 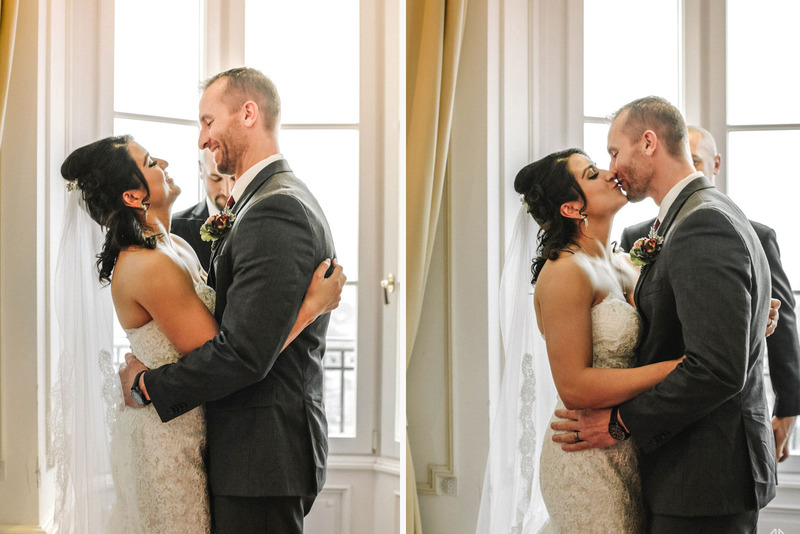 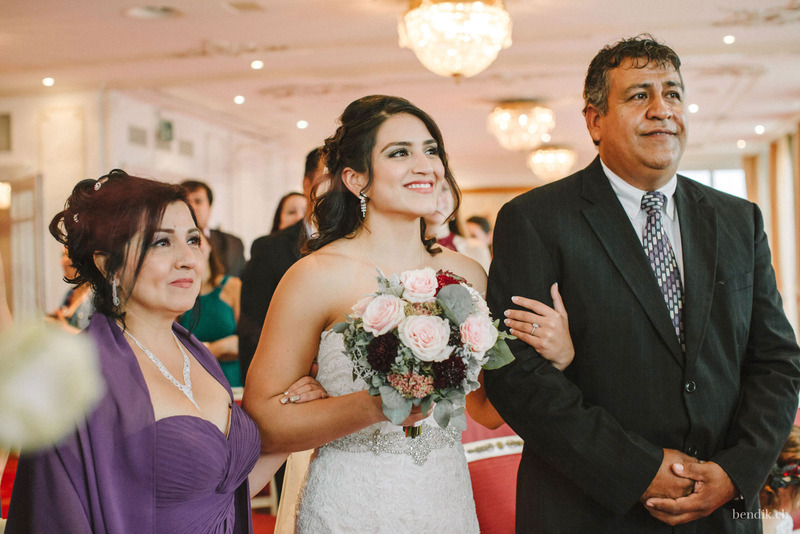 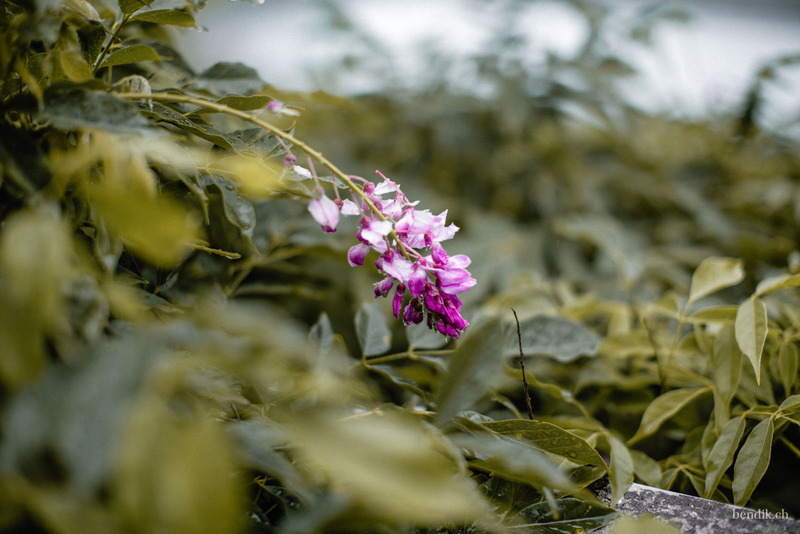 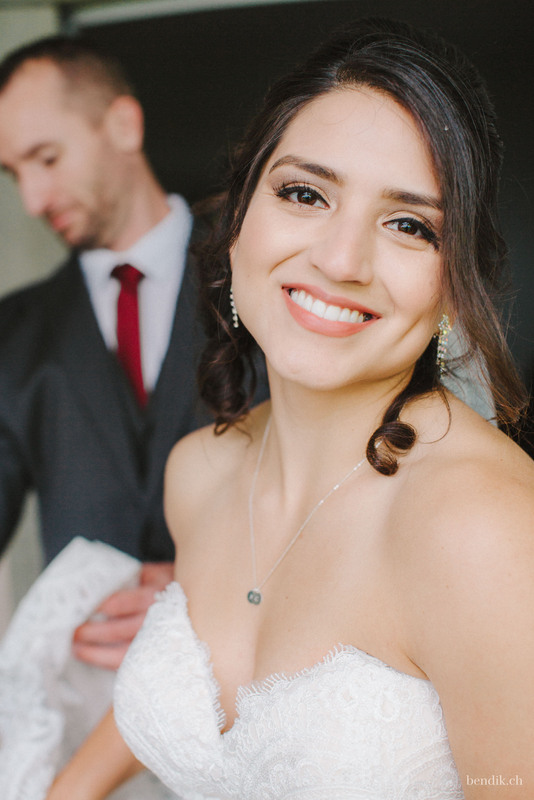 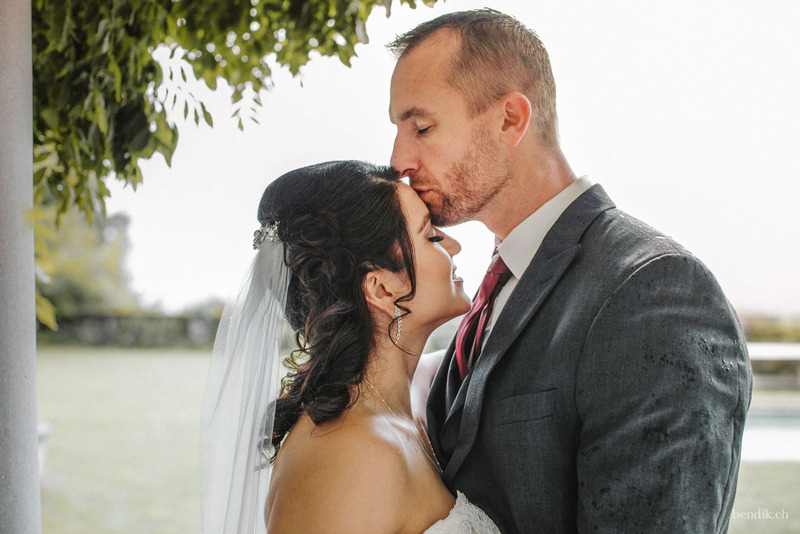 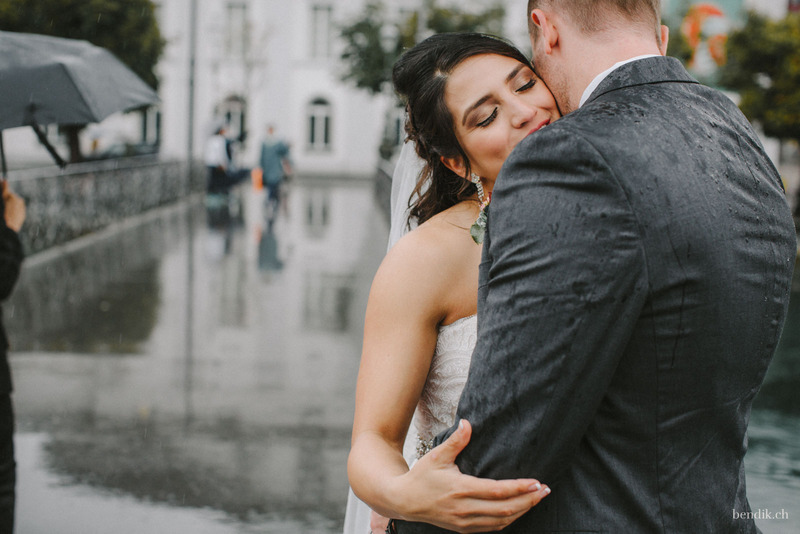 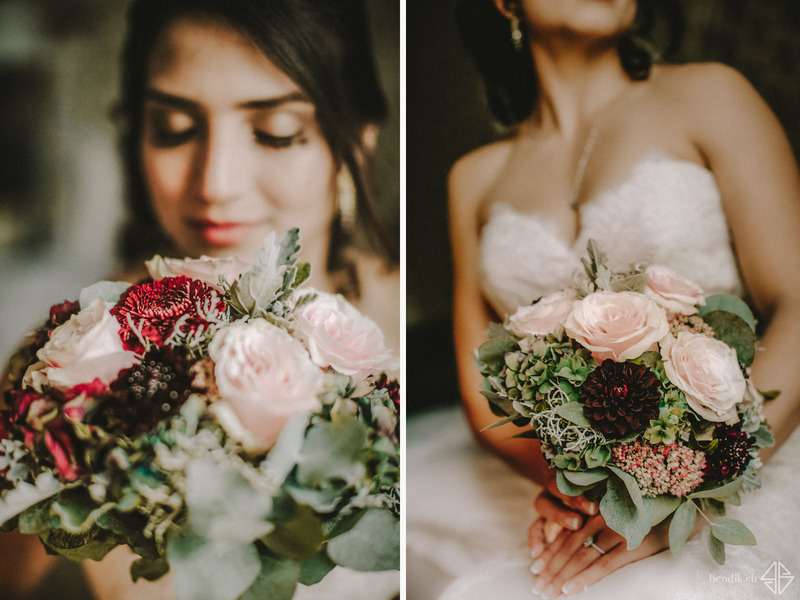 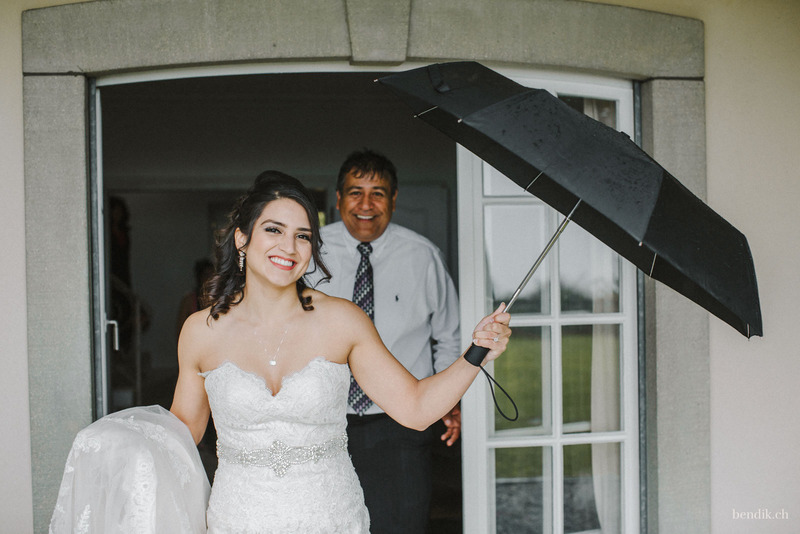 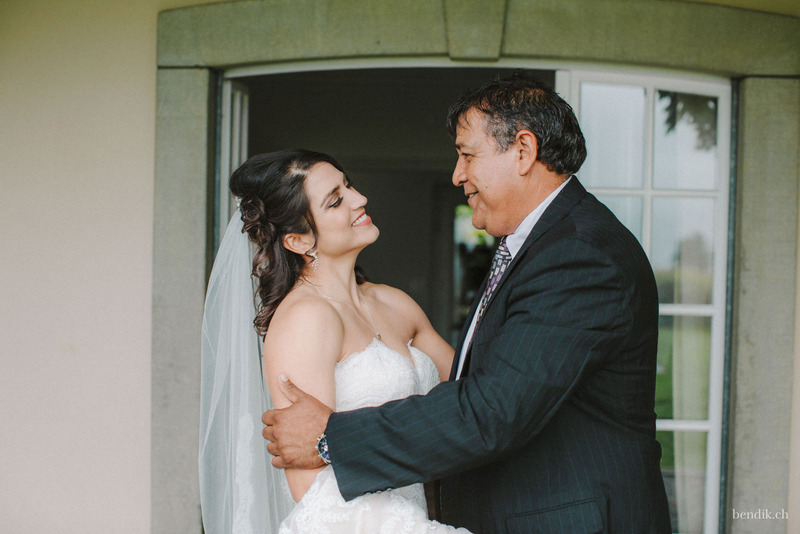 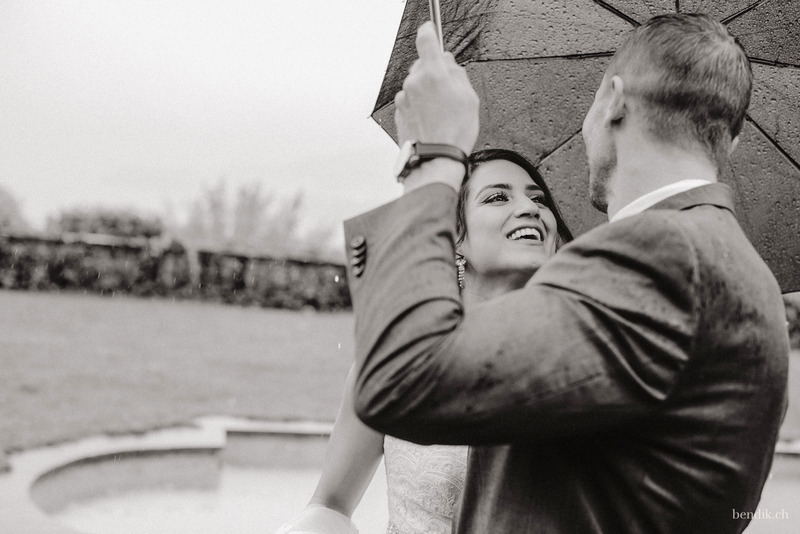 The pictures below probably best describe the joyous atmosphere during their wedding photo shoot and what kind of warm people Cecely, Nicholas and their family were. 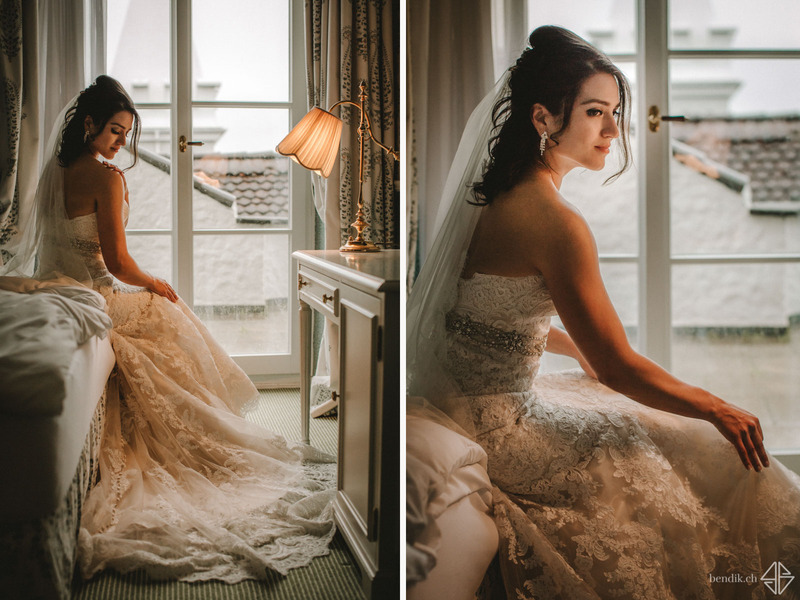 Dear Cecely and Nicholas, I am wishing you a lifetime of love and happyness from the bottom of my heart!